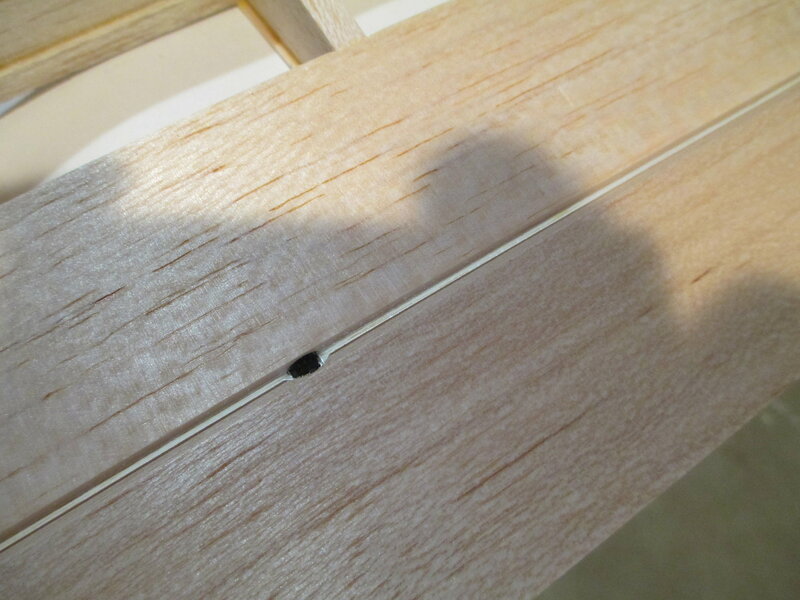 On all the shear webbing that I've seen and installed, the grain has always run vertically and never horizontally. 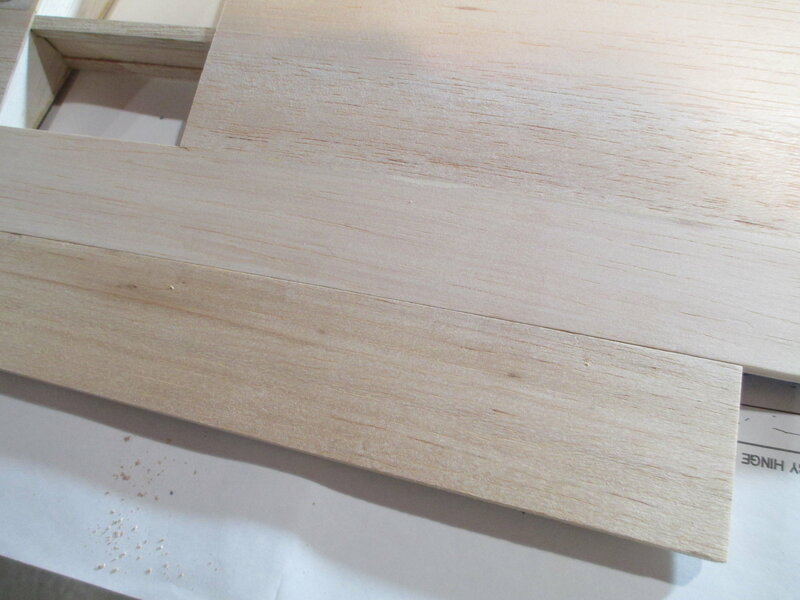 I have seen balsa sheets that were laminated together with its grain alternate in different directions much like a sheet of plywood. I'm no engineer and this model has been around since 1989 so I'm not going to say that it won't do it's job. Last edited by VincentJ; 03-15-2019 at 11:46 PM. 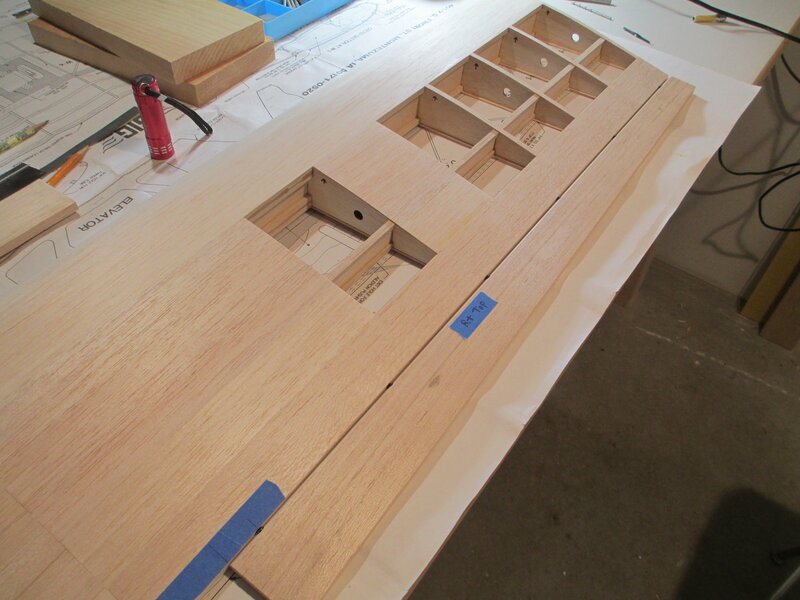 Right wing panel and the new plywood wing joiner. I scrapped the supplied wing joiner that would have given the wing its 2 degrees of dihedral (per panel) and made a new one set at 1 degree. 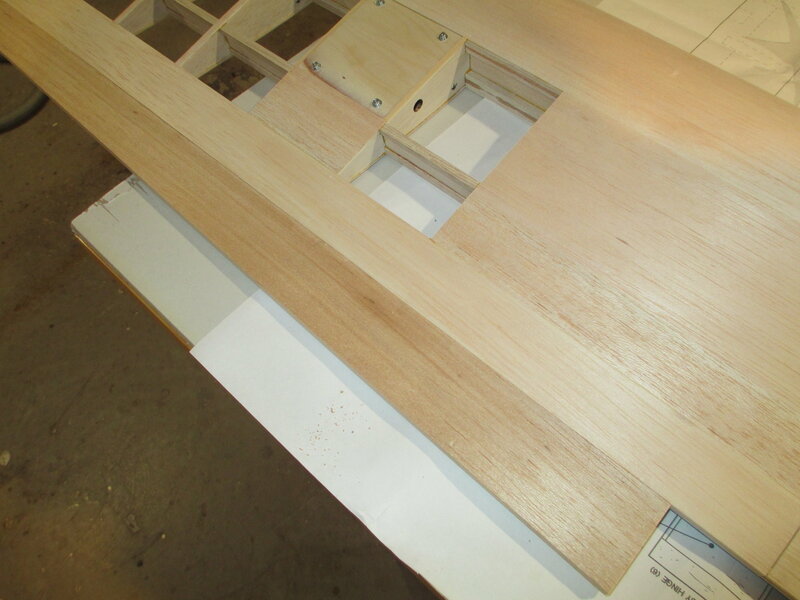 The wing joiner is being slid through ribs 1 and 2 and should fit snug between the top and bottom wing spar. 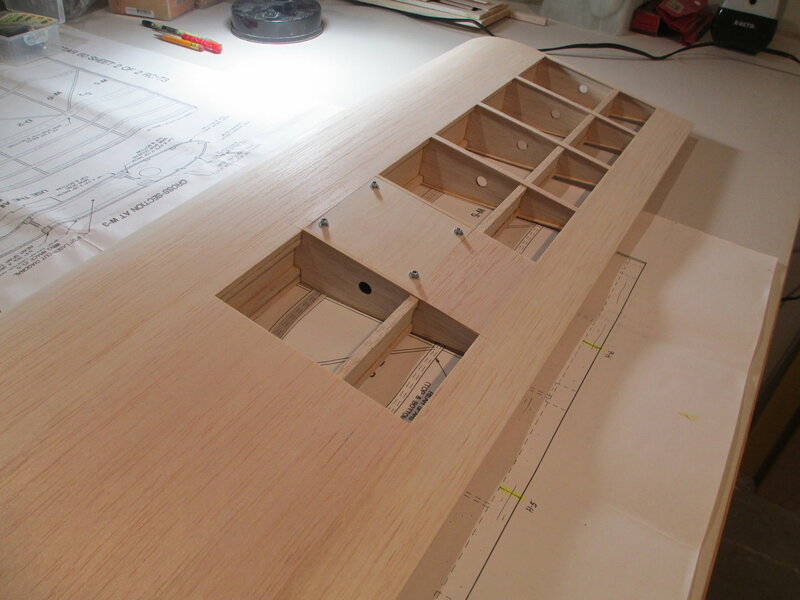 The wing joiner is now completely in and I'm happy with the fit. 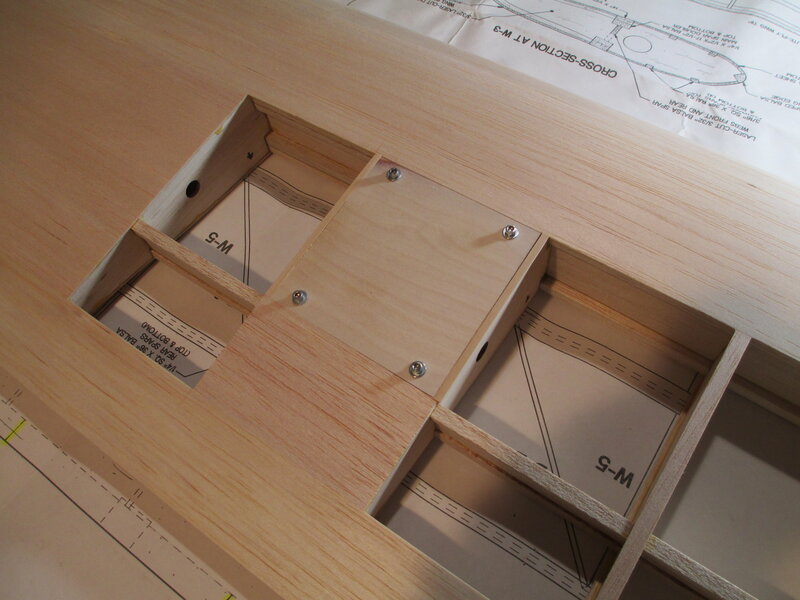 I want to ensure that the joiner is permanently epoxied into position but with the additional insurance of it being sandwiched between four plates made from 1/16" birch ply. 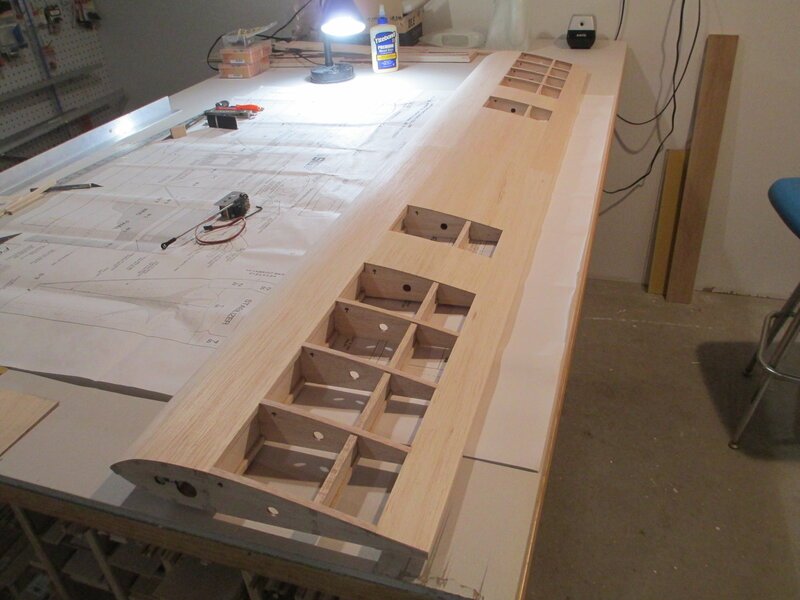 Epoxy was spread on both sides of ribs 1 and 2 and plywood plates are now clamped into position. I like the squeeze out that I got, the fillet of epoxy will stay. I want to give a big shout out to amain hobbies. 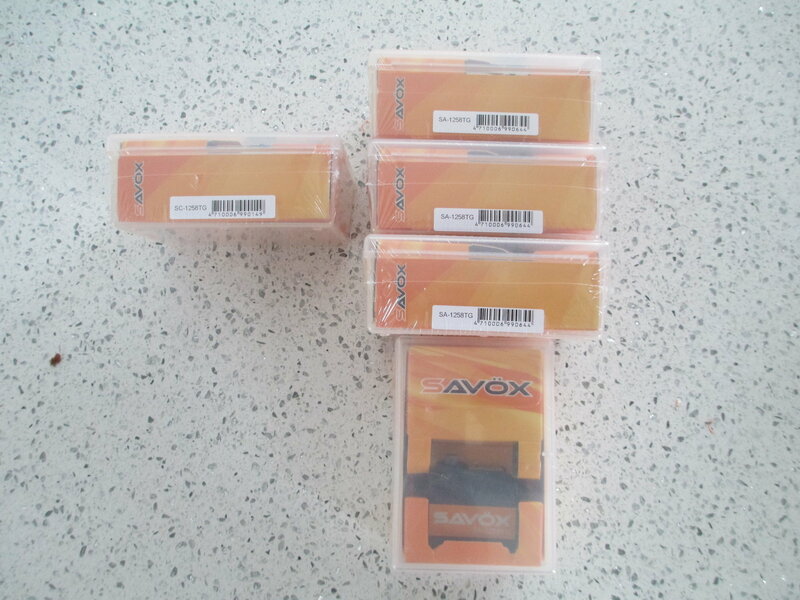 I ordered my servos on Thursday, March 14th and received them today! Great service, fair prices and I didn't have to pay for shipping because of the total amount spent. Check them out. Last edited by VincentJ; 03-17-2019 at 12:06 AM. I joined the left and right wing panels this morning and while the epoxy sets, I thought I would take this opportunity and give a short tutorial on how I make servo brackets. These brackets are bullet proof and I've made them for all of my planes no matter the size. They can be made for a little bit of time and very short money. 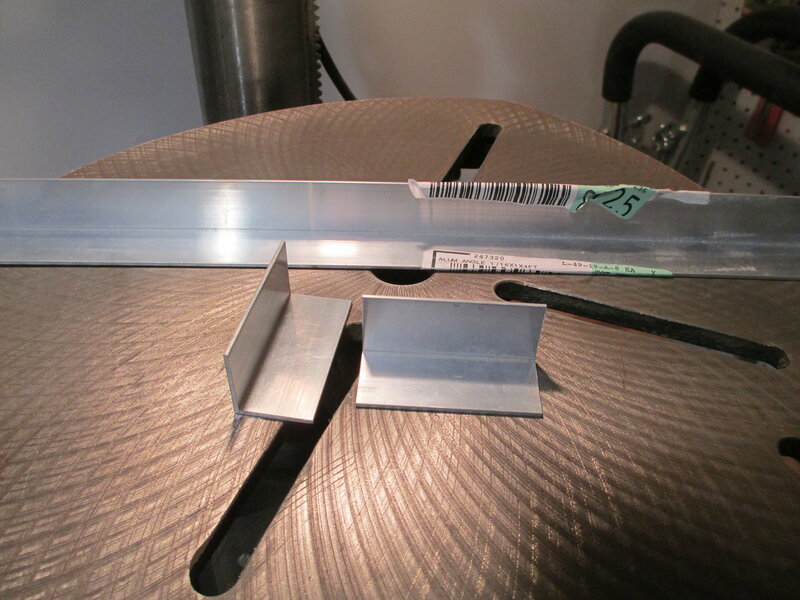 The aluminum angle stock is 1"x1" and is 1/16" thick. They can be found in most hardware stores or Home Depot. 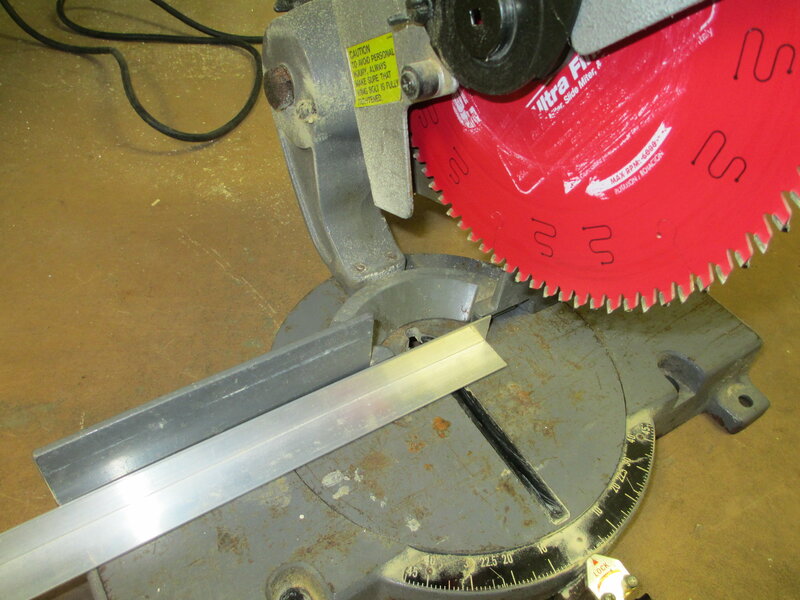 The aluminum angle stock can easily be cut with a chop saw equipped with a wood blade. 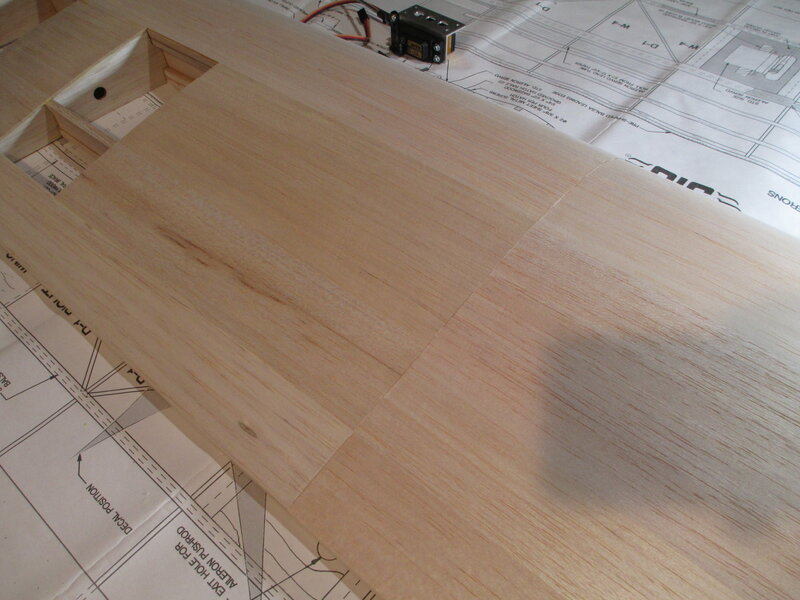 Two pieces were cut for the right and left aileron servos. 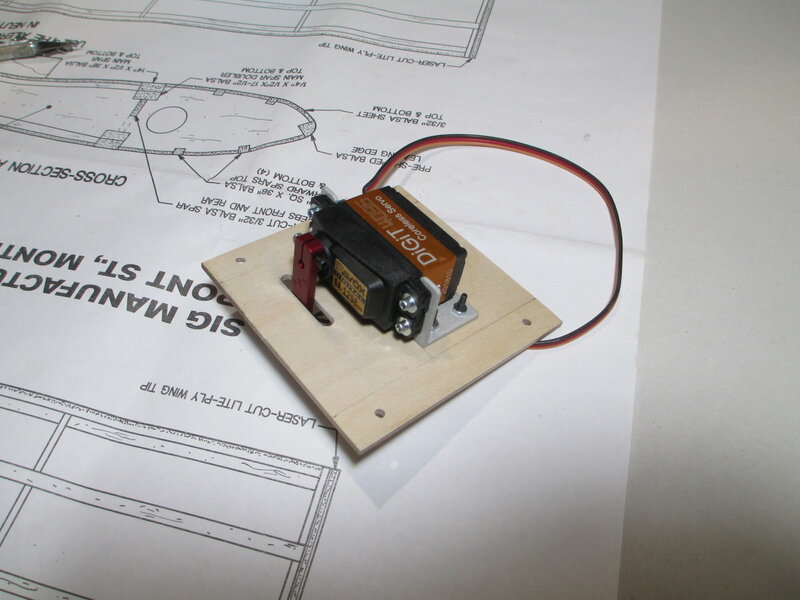 It's best if you have the servos before you start this project because a notch will need to be cut out for the servo. 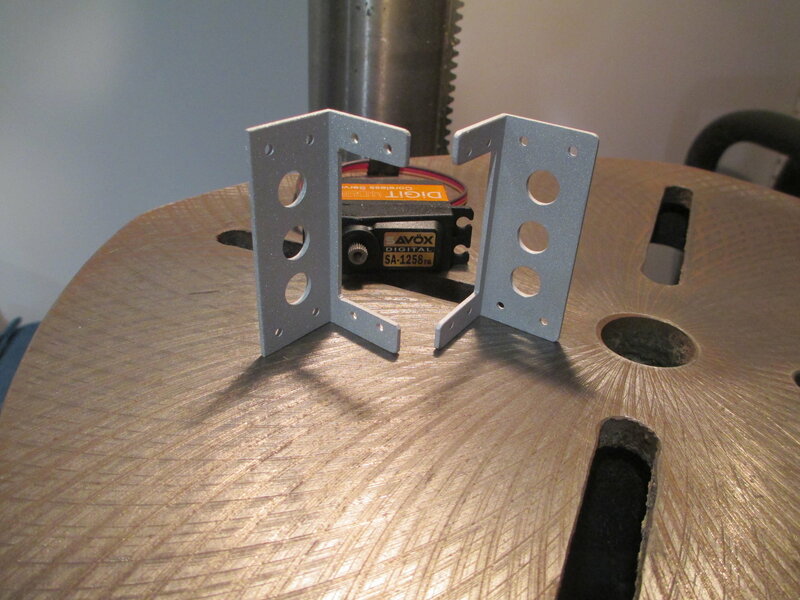 This will ensure that your custom bracket fits perfectly as servo sizes vary. 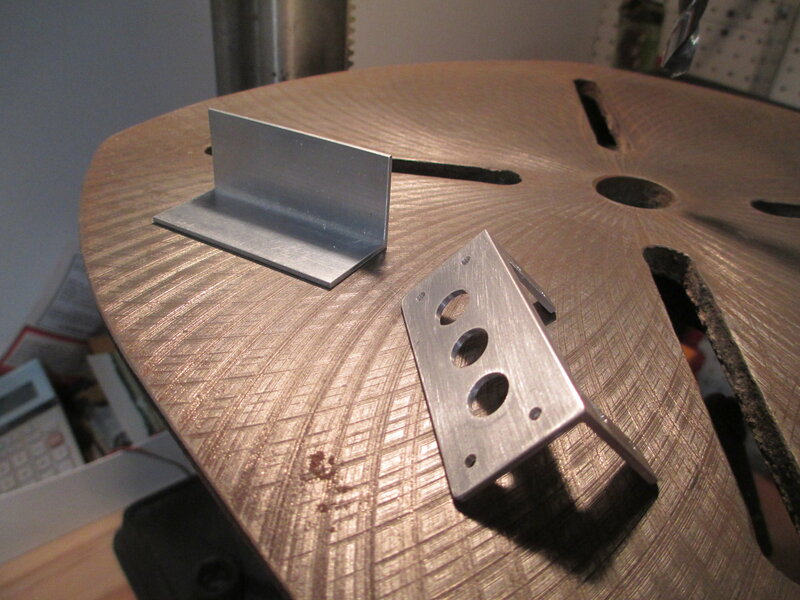 I scribed, center punched and drilled four servo mounting holes in the bracket. 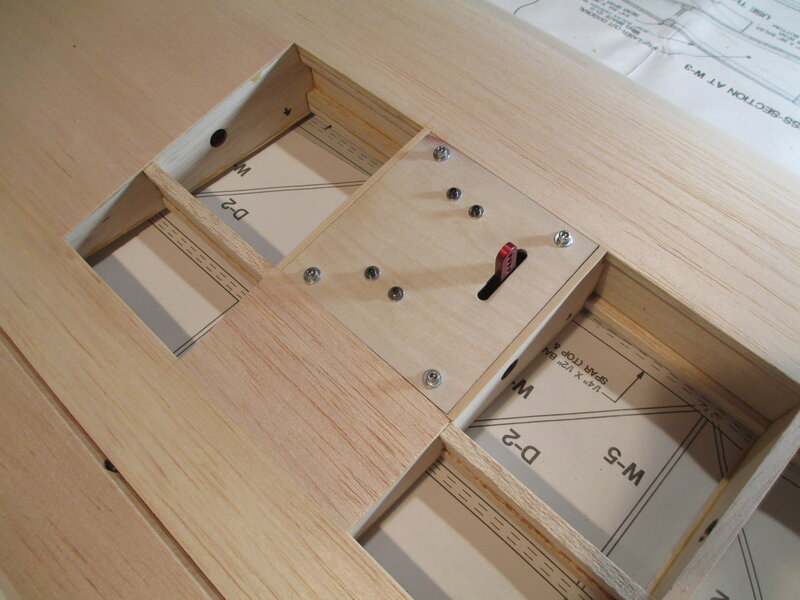 Four holes were drilled on the bottom of the bracket which secures the bracket to the plywood servo hatch. 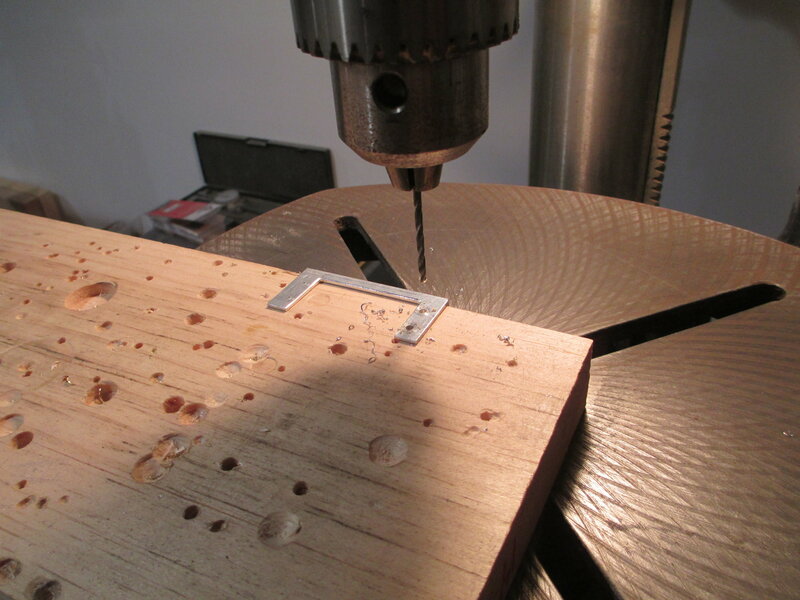 Three lightening holes were also drilled. 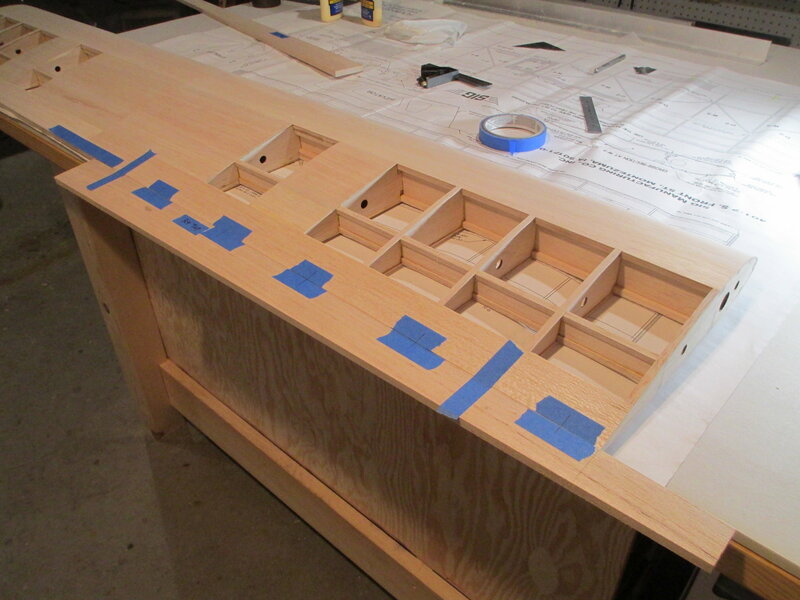 A little bit of filing and sanding is all that's left! I think it took me about 20 minutes to make this bracket. 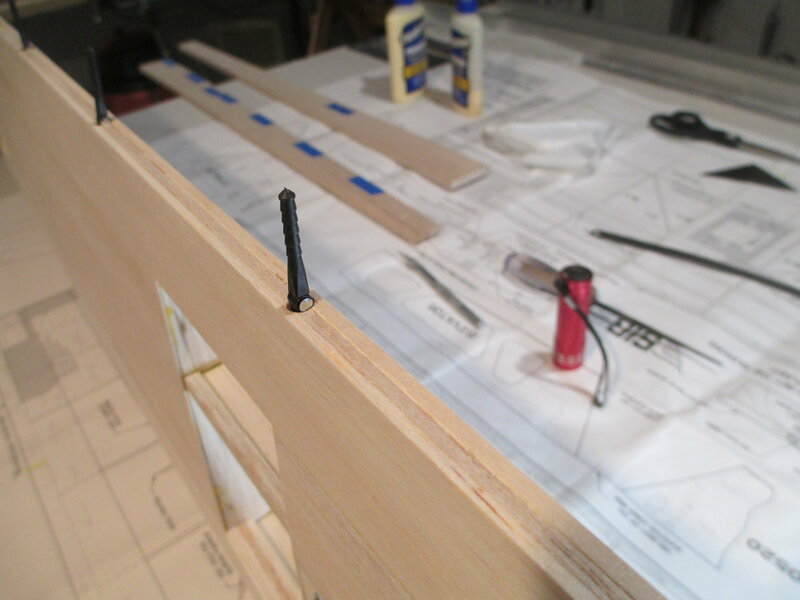 Four 2-56 x 1/2" cap head screws secures the servo to the bracket. Make sure the servo doesn't make contact with the notch cut into the bracket, this will isolate the vibration from your air frame shortening the life of your servo. Last edited by VincentJ; 03-18-2019 at 01:01 AM. 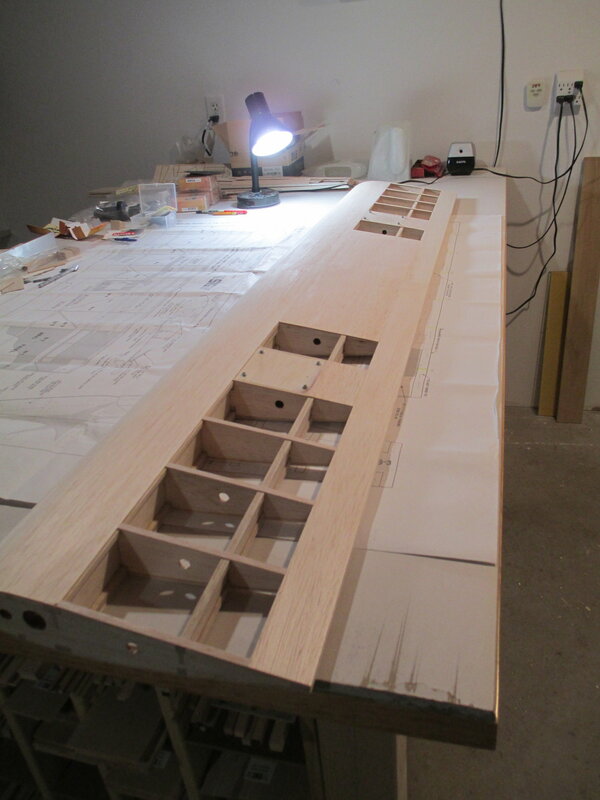 The wing panels are finally joined! 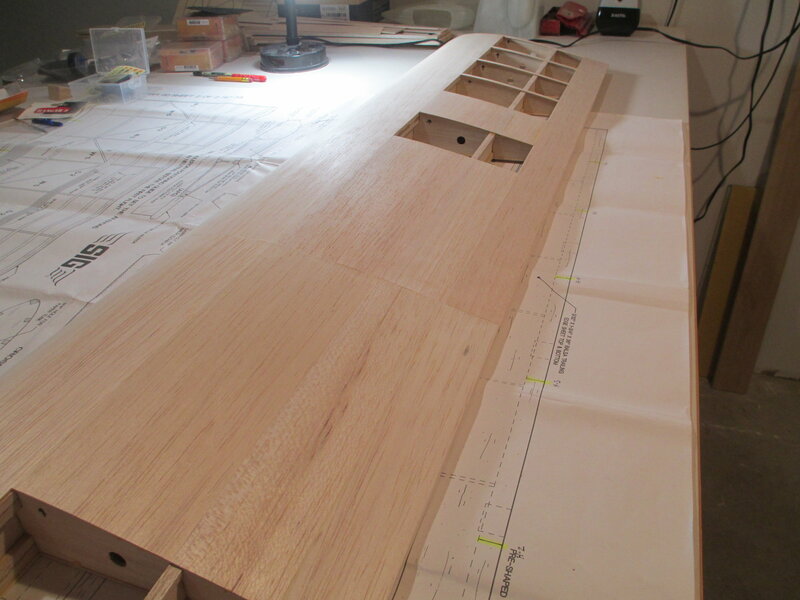 Once the bottom of the wing is sheeted, the center section seam will get wrapped with a fiberglass strip. You can see the wing's dihedral in this shot. 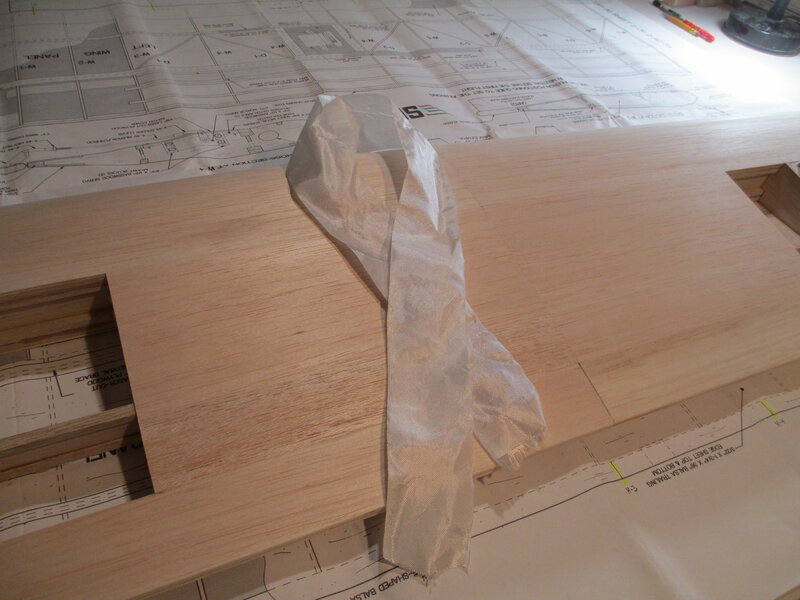 By not sheeting the bottom, I was able to make sure the epoxy was applied where I want it on the wing joiner. Last edited by VincentJ; 03-18-2019 at 03:46 AM. 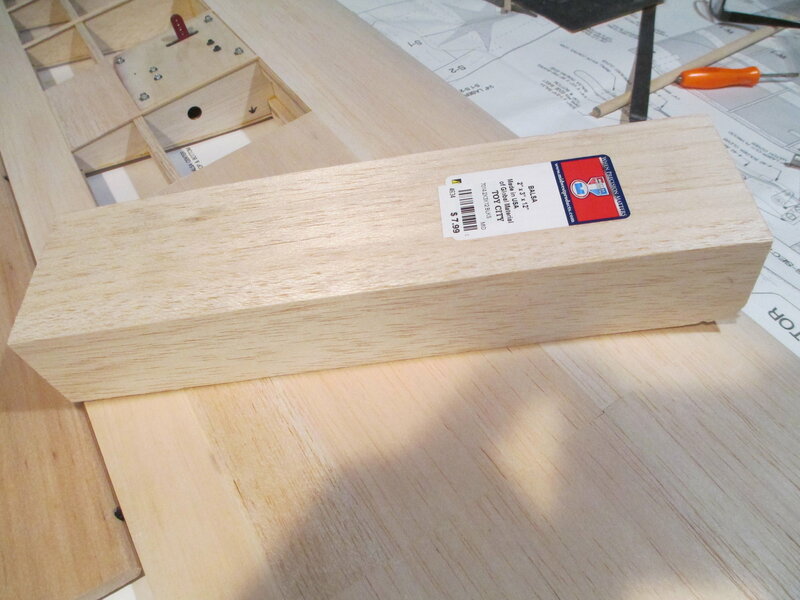 These are two brackets made from Basswood. 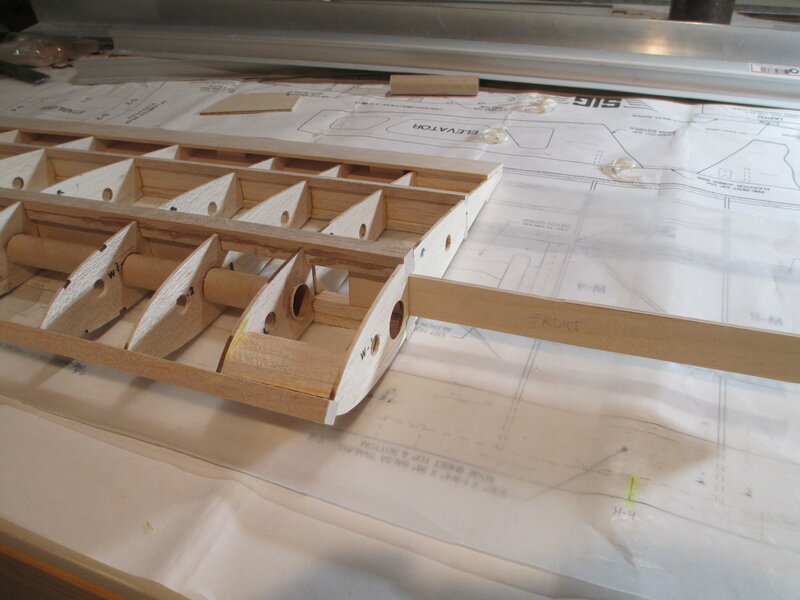 They will hold the aileron servo cover to the wing. 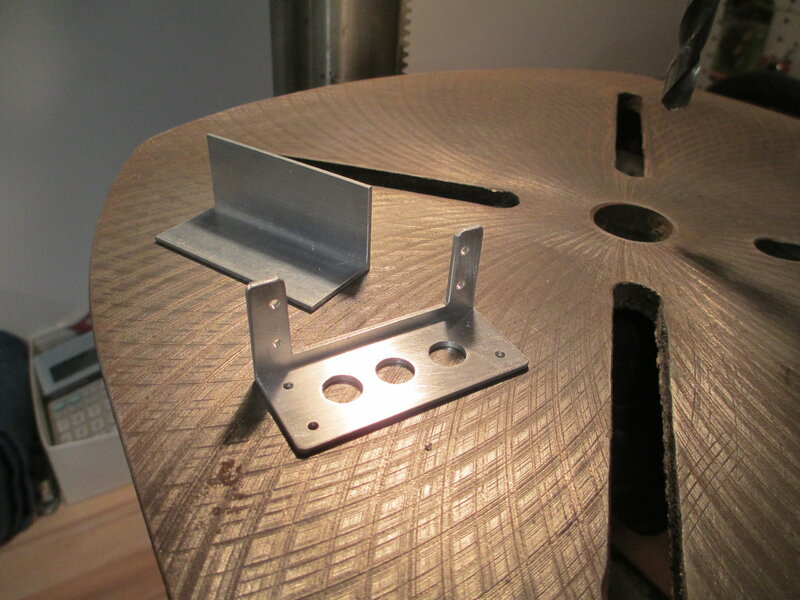 Each bracket is made from 1/2" x 1/8" stock epoxied together forming a 90 degree angle. 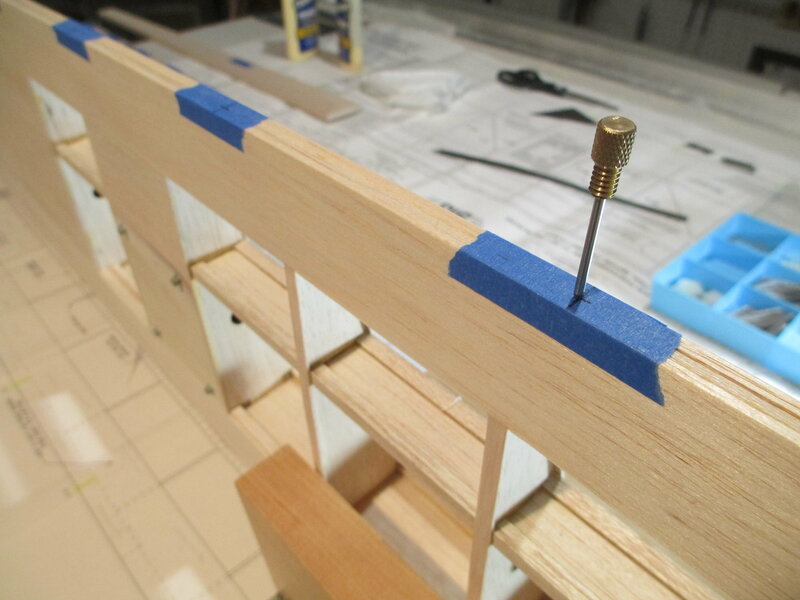 I further reinforced it by gluing in a short length of Balsa tri-stock for good measure. 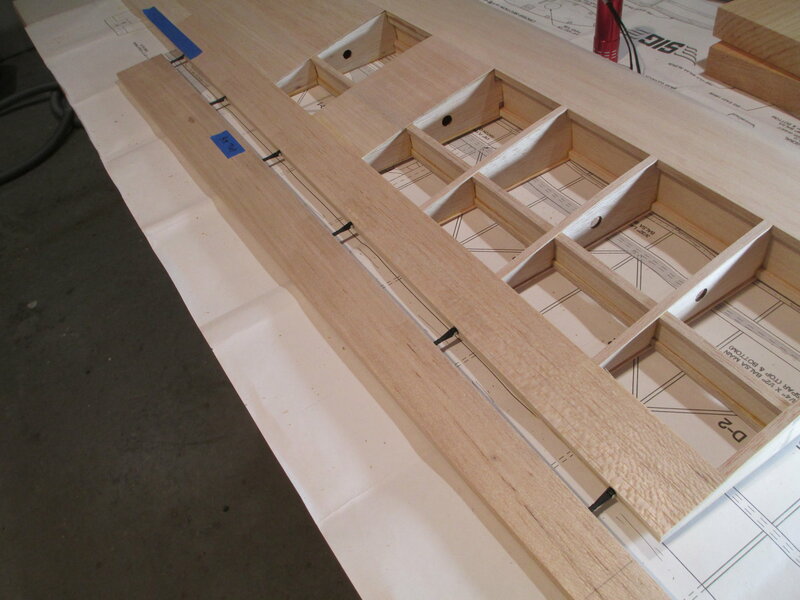 The brackets are epoxied to the sides of the front and rear spars. 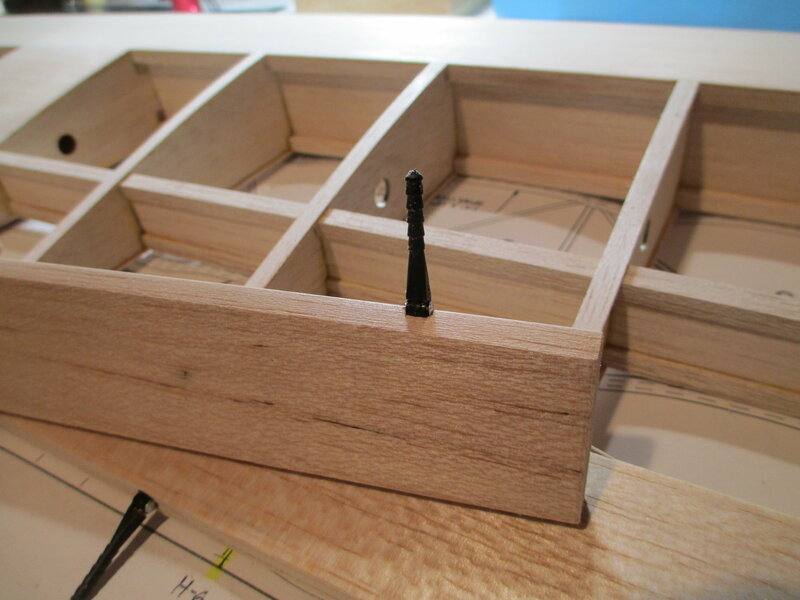 Four 4-40 cap head screws will secure the cover in place. Last edited by VincentJ; 03-19-2019 at 02:34 AM. With the brackets (that I made yesterday) now in place, the servo hatch covers were fitted and secured using four 4-40 cap head screws. 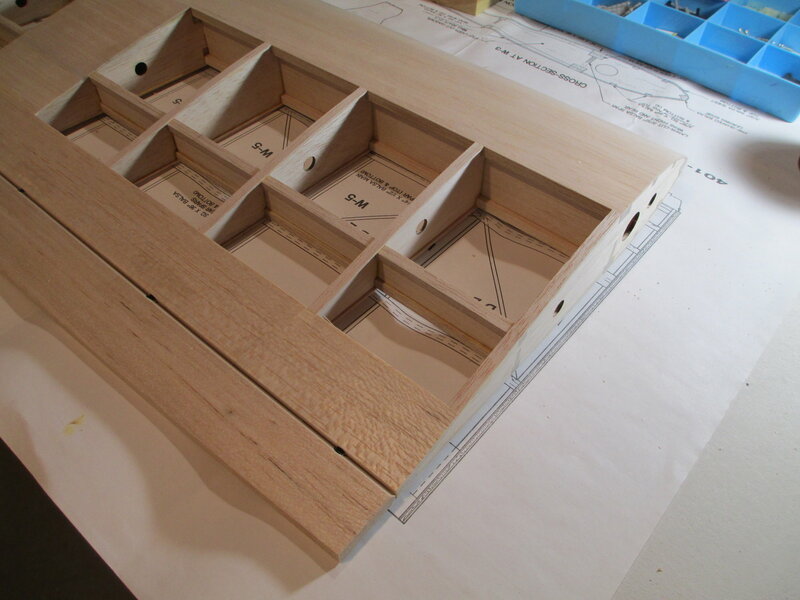 Initial layout of servo placement. 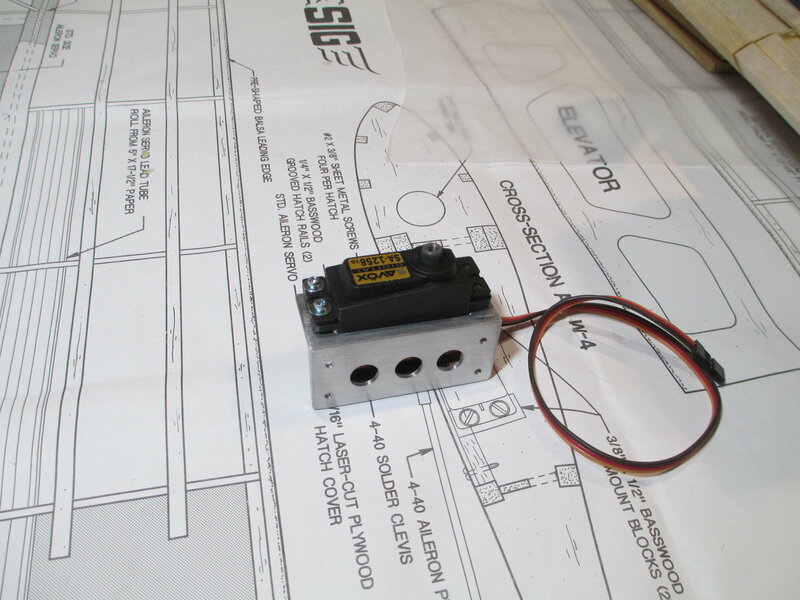 I'm using 5" Hangar 9 Titanium Pro-Links to connect the servo arm to the horn of the aileron. 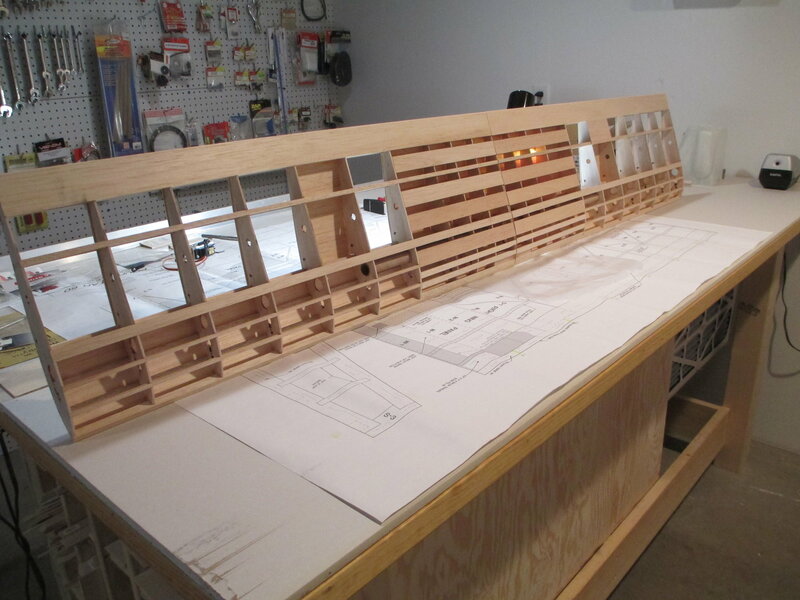 Tomorrow I'll start sheeting the bottom half of the wing! Last edited by VincentJ; 03-20-2019 at 04:48 AM. Clean and solid. What is that in the middle of the pushrod? Turnbuckle for fine adjustment? Yes Tim, it is a turnbuckle. They are strong and very light. 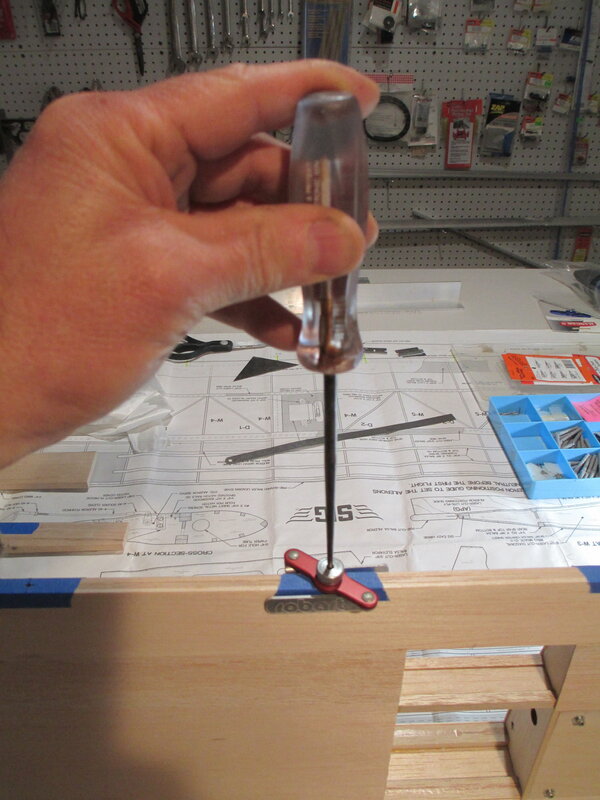 One side of the turnbuckle has right hand thread and the opposite side has a left hand thread, so when you rotate the turnbuckle by the square part in the center you will lengthen or shorten the distance between the ball links. They come in a variety of sizes ranging from 2"-5" (in 1/2 increments). Last edited by VincentJ; 03-21-2019 at 12:28 AM. Tim, after re-reading your initial question about the part in the middle of the pushrod I may have misunderstood your question. 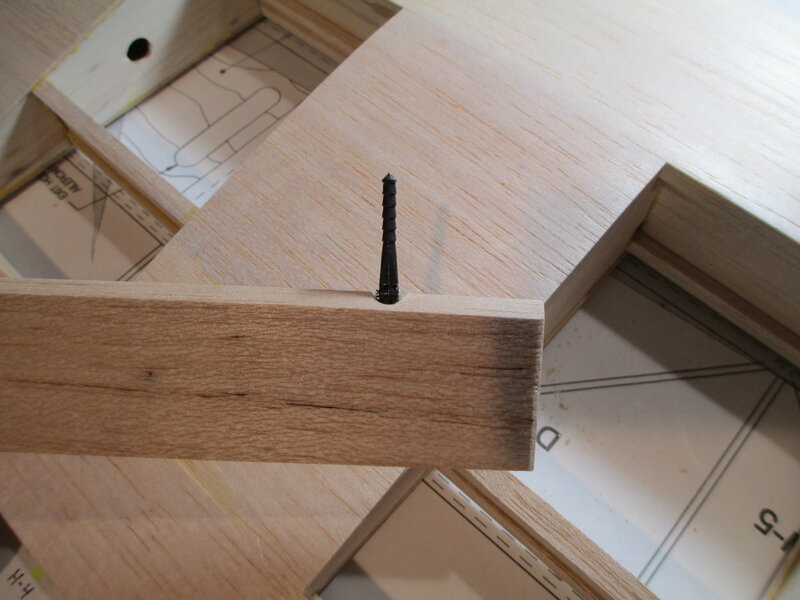 The square part in the middle is not adjustable, it is just a spot to turn the entire turnbuckle (Pro-Link). They have a special tool (see link below) that fits on that adjuster, but a small adjustable wrench works equally as well. 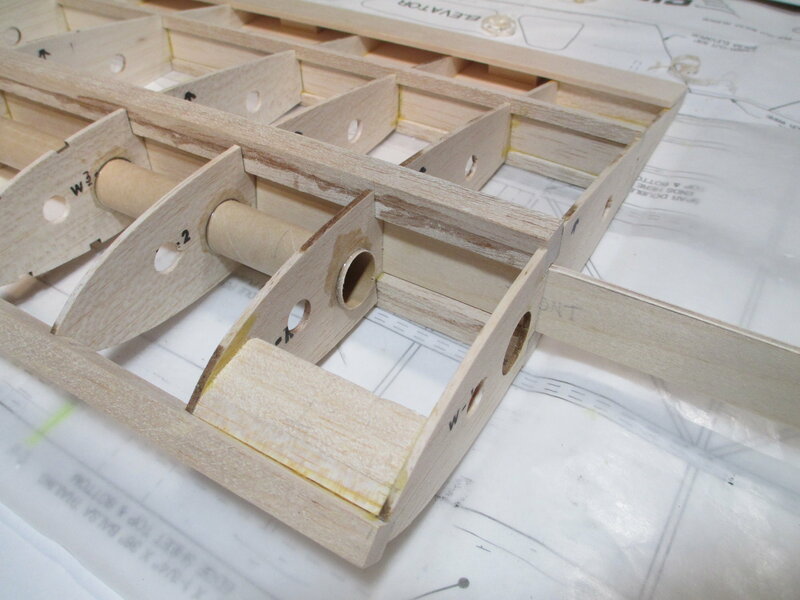 When you rotate the center, the entire turnbuckle will lengthen or shorten depending on which direction it's rotated. Last edited by VincentJ; 03-22-2019 at 03:39 AM. That makes more sense. I wondered how that little thing could join two rods and keep the whole thing solid, but assumed it must. I get it's just there to give a tool something to grab onto to turn the entire length of the solid rod. Thanks for the clearing that up. No, I didn't paint them. This is what aluminum looks like after glass beading them. Last edited by VincentJ; 03-22-2019 at 11:15 PM. 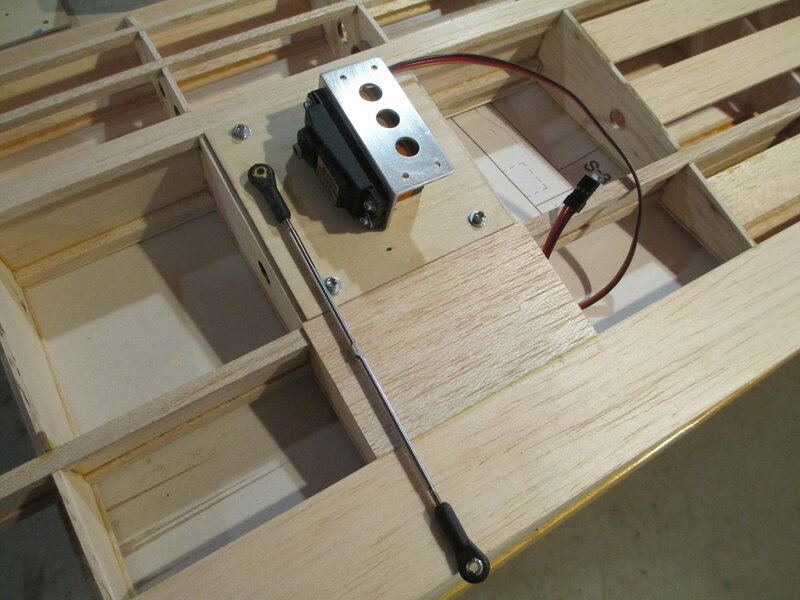 How did you do your servo cut outs and what length servo arms are you using? Not to beleaguer the subject of the turnbuckle control rods, I like the looks of them and will get some, but with no jam nuts what keeps the threads from unscrewing under the effects of vibration? Is it a really tight fit on the threads? 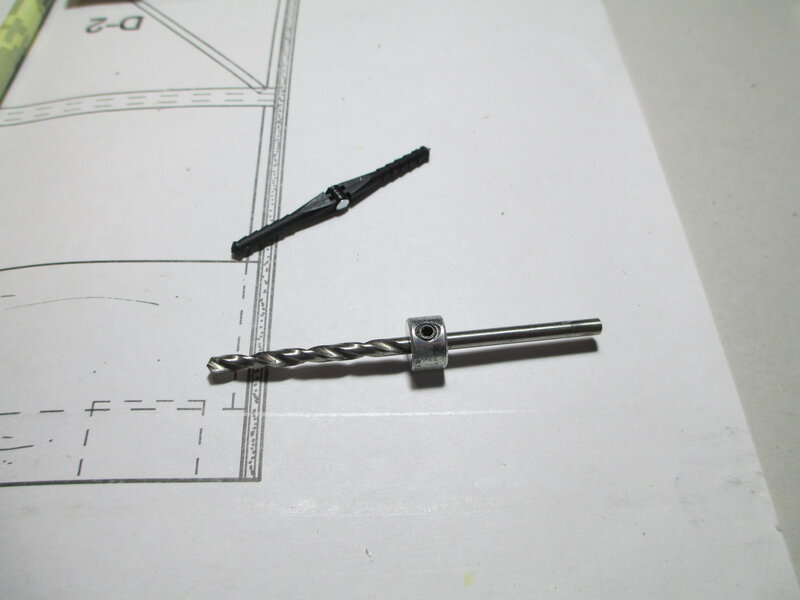 I'm using 1-1/4" half arms with 4-40 tap made by SWB. 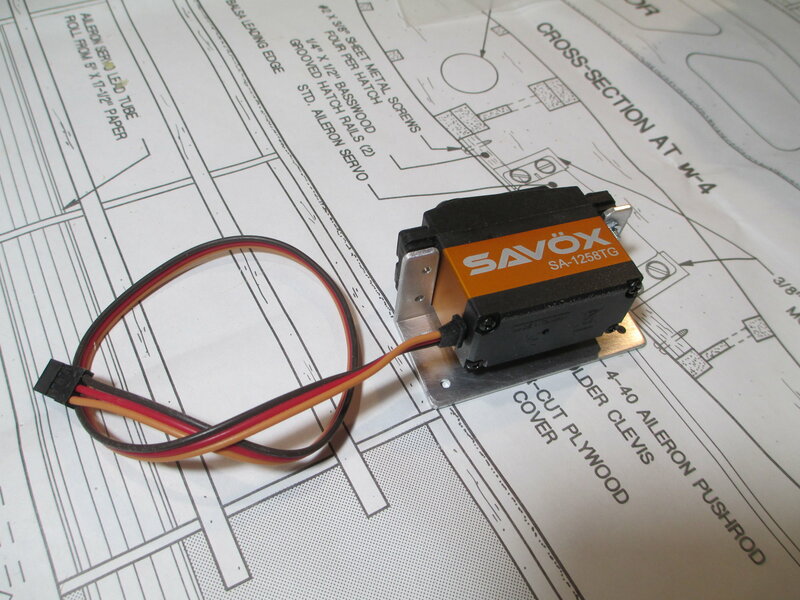 Since I'm using Savox servos which have 25 splines on the output shaft, the arms used are for Futaba. Last edited by VincentJ; 03-22-2019 at 11:36 PM. Good question Mirion. I'm using heavy duty ball links made by Dubro. These ball links are made from some type of nylon and they cut their own threads as their spun on, much like using a nylon insert lock nut. These really hold so no lock nuts on the turn buckles are needed, also, since there are no tapped threads inside these ball nuts , they lend themselves well for use on these turnbuckles since one end is left hand thread. If however you are threading something metal such as a clevis to the turnbuckle then I would highly recommend using a jam nut on each end. 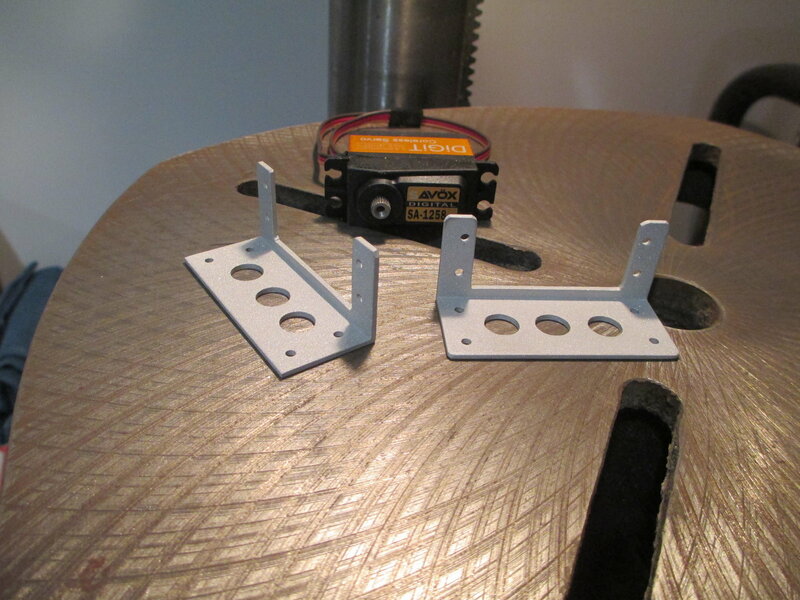 Each servo cover will have to later be resized to give clearance for the covering. 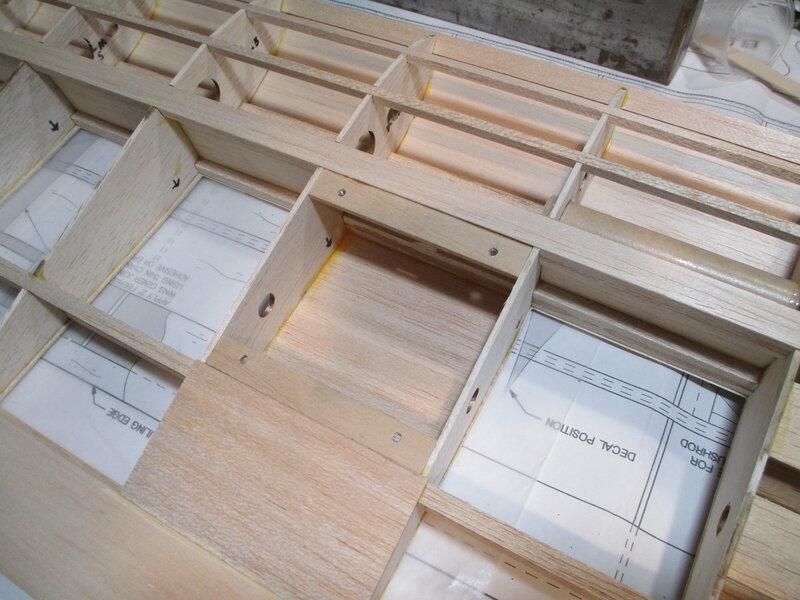 This is the 2" wide fiberglass strip (supplied in the kit) that will get wrapped around the wing's center seam. 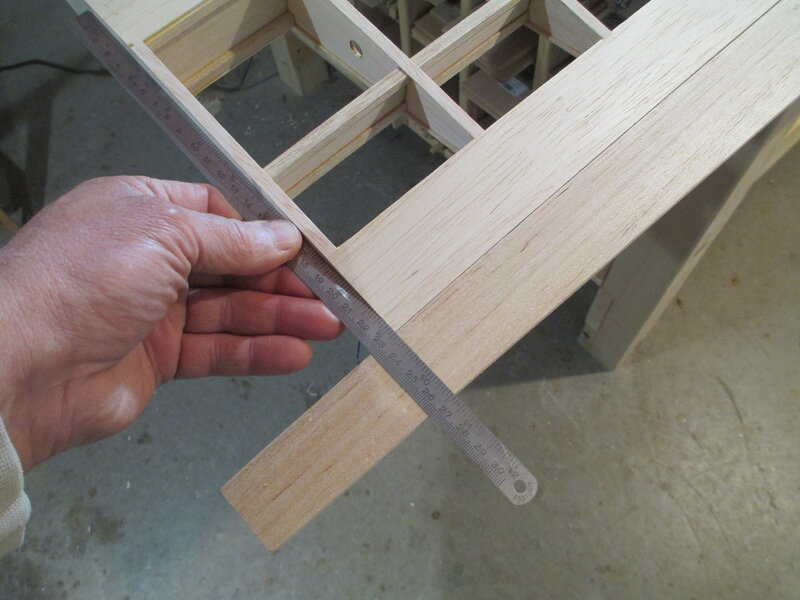 This is a step that should not be overlooked as this will prevent the wing from splitting in two... I like to use finishing resin to secure it into place. Last edited by VincentJ; 03-24-2019 at 12:08 AM. 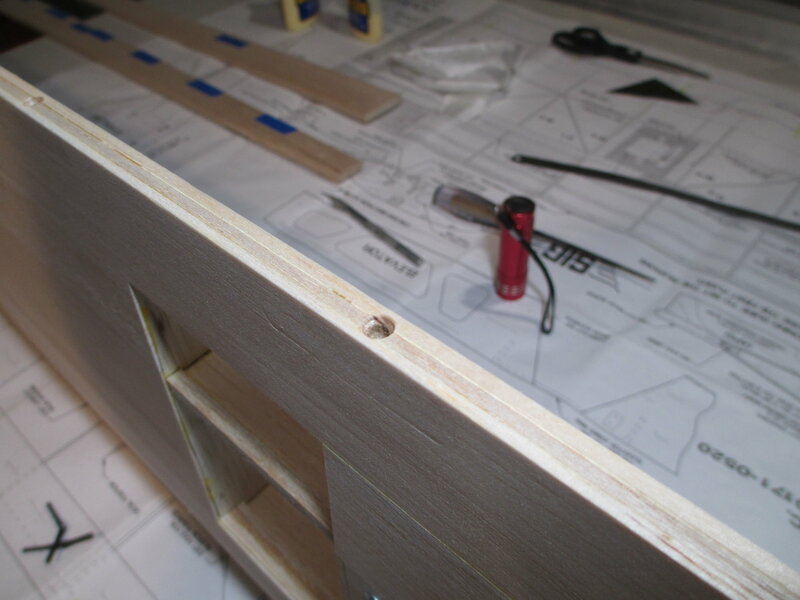 Don't be intimidated by using these type of hinges on your project. It's easier than you think, you can do it!!! 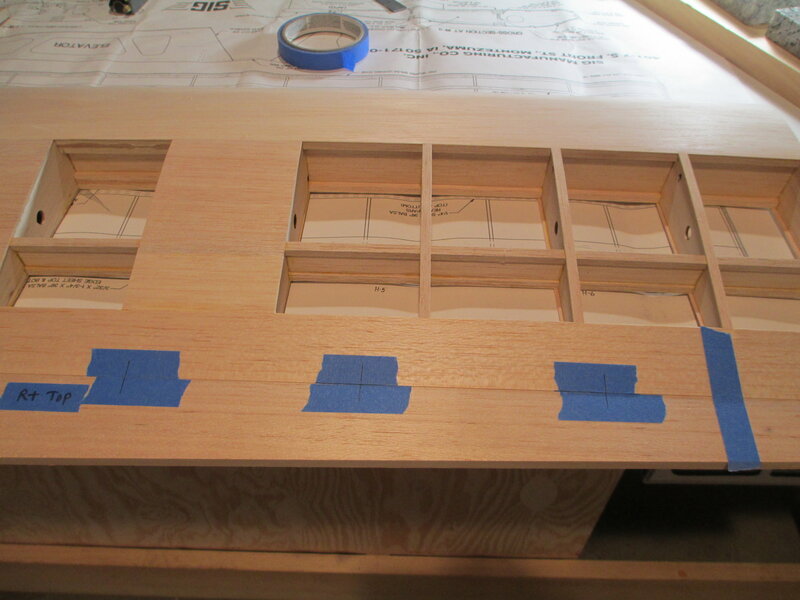 I first start the process by marking the exact locations of the hinges from the plans to the TE of the wing. Notice that I have first placed blue painters tape on the wing. 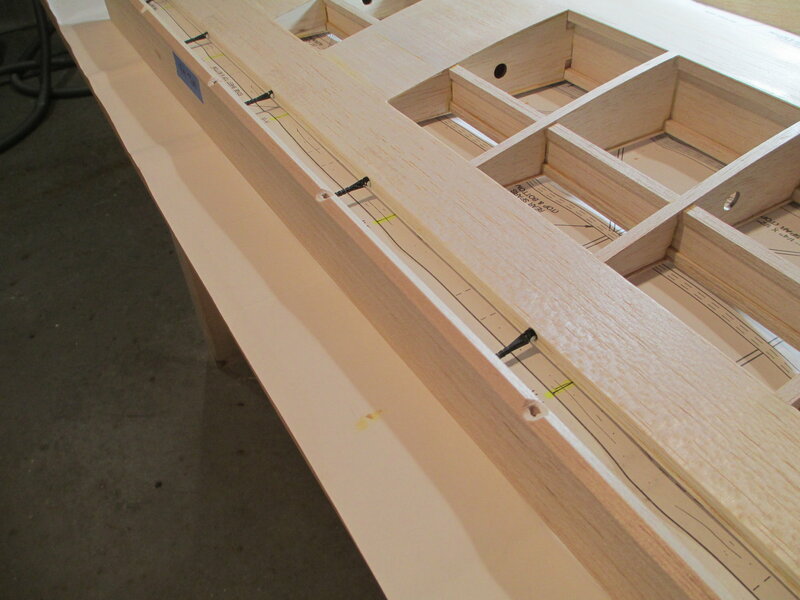 The aileron is taped against the TE and the hinge marks are also transferred to the top of the aileron. 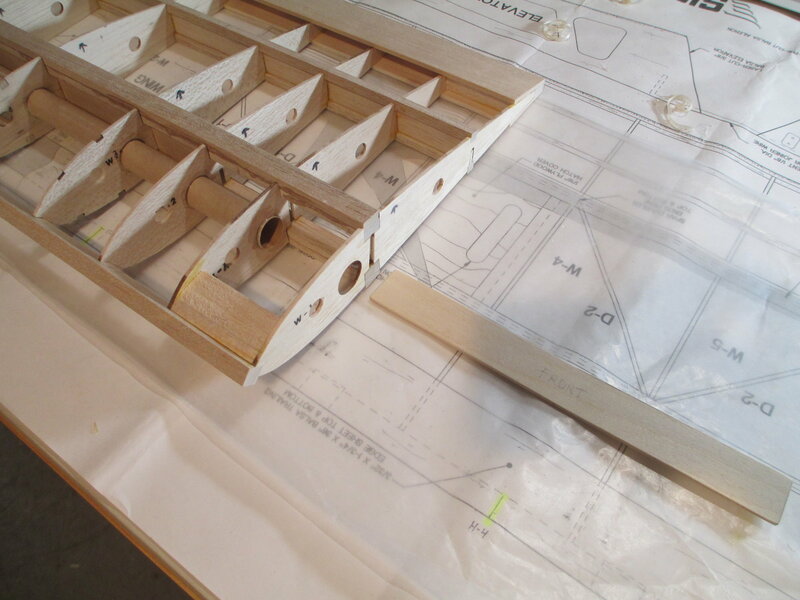 There are a total of six hinges per aileron. Note the excess aileron extending beyond the wing panel. I will trim this off after the hinging process is completed. 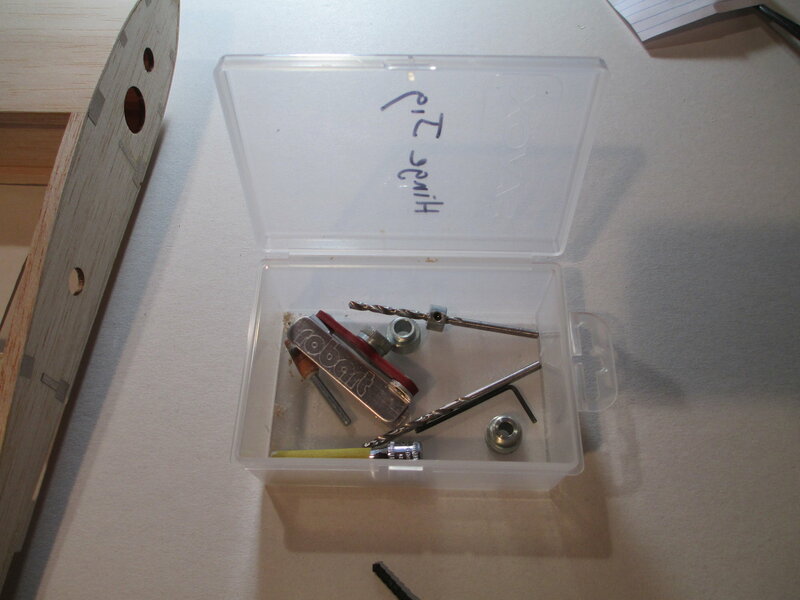 I keep all, or most of what I need to make hinges in a small kit that I assembled. This saves me time having to look for what I need! 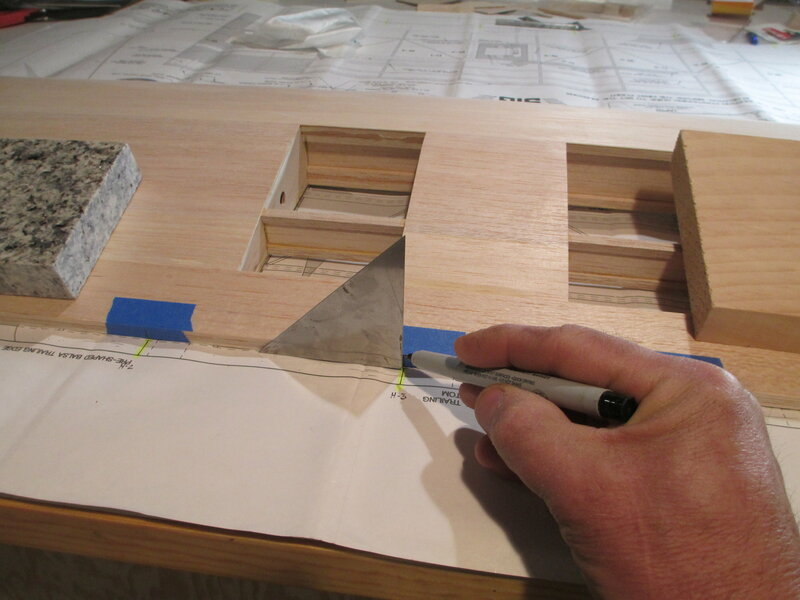 Divide the thickness of the TE of the wing and mark the exact spot of where to drill. I'm using the small scribe tool that is usually found on your square...that is if you haven't already lost it! 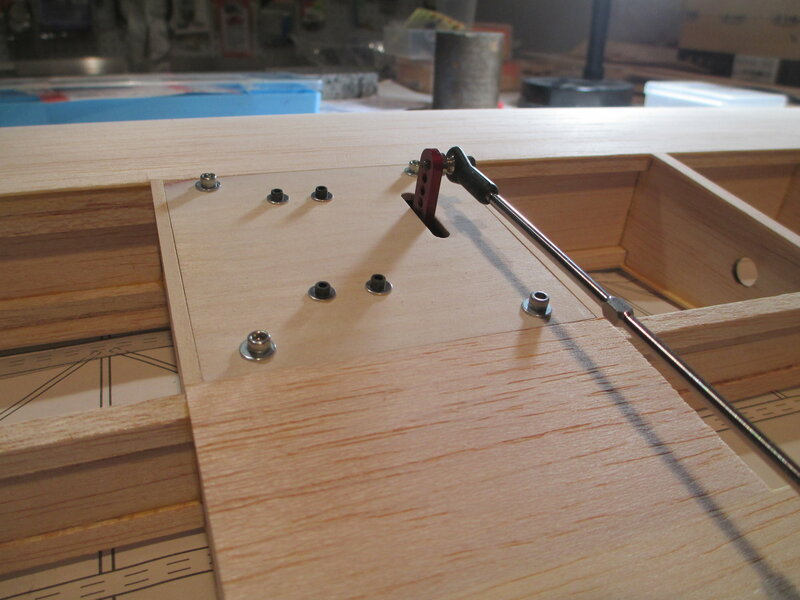 I like to use the hinge drill jig made by Robart. 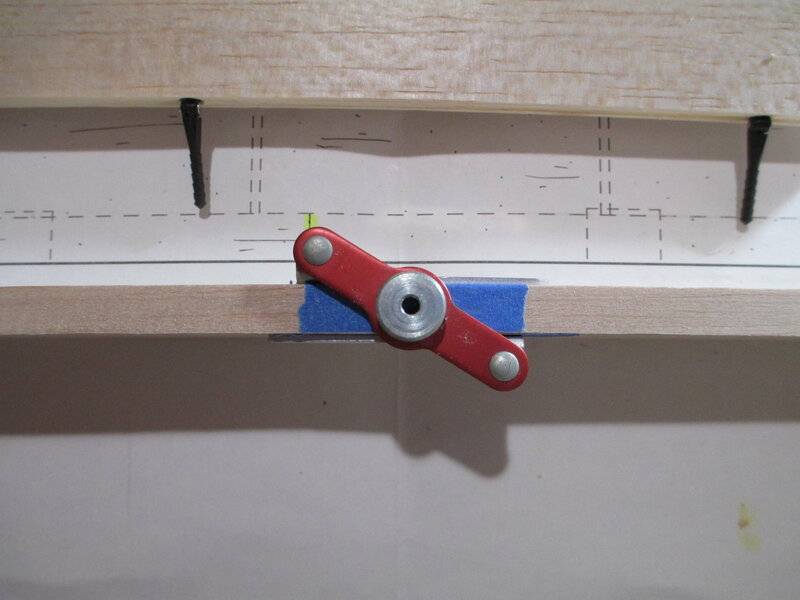 I find that using an awl to locate the indentation that I had previously made is the best way to locate the jig in the exact position. 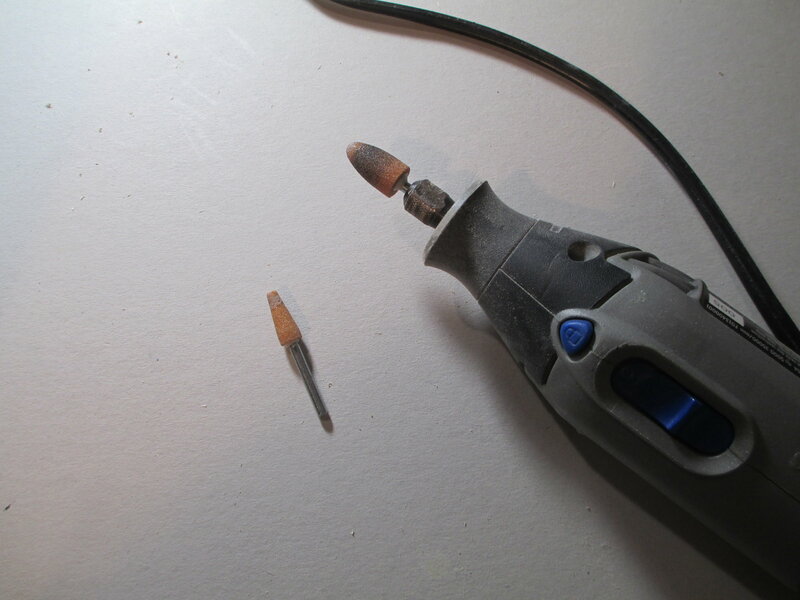 Since I'm using 1/8" hinges I'm using a sharp 1/8" drill bit. I found at my local hardware store these depth stops for different size drill bits. I have it adjusted to the depth that I want. 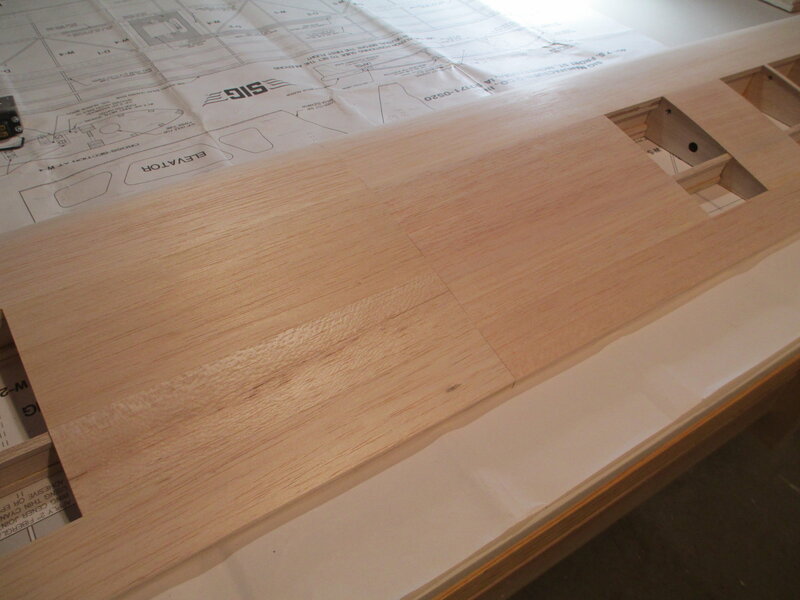 This is what is should look like after drilling (step #1) is done. 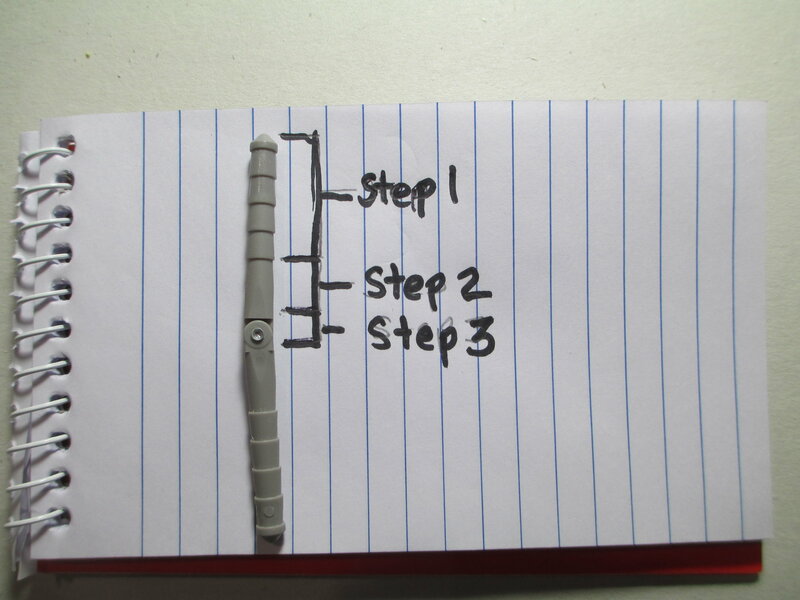 This is what it now should look like after doing all three steps. 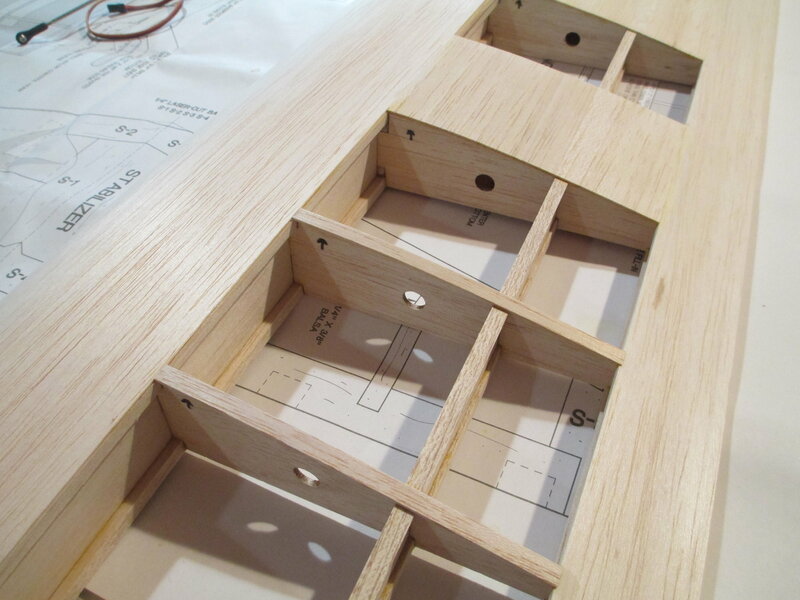 Each hinge is fitting perfectly. Last edited by VincentJ; 03-25-2019 at 04:45 AM. I assume you'll sand the aileron down to taper towards the trailing edge? Any tricks to evenly sanding such a long piece? 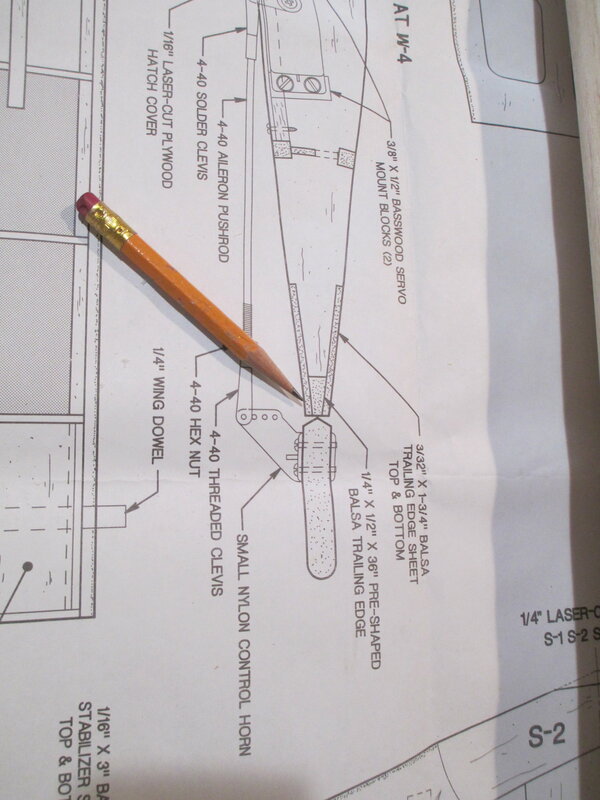 The pencil pointing to the LE of the aileron shows that it's beveled at 45 degrees. 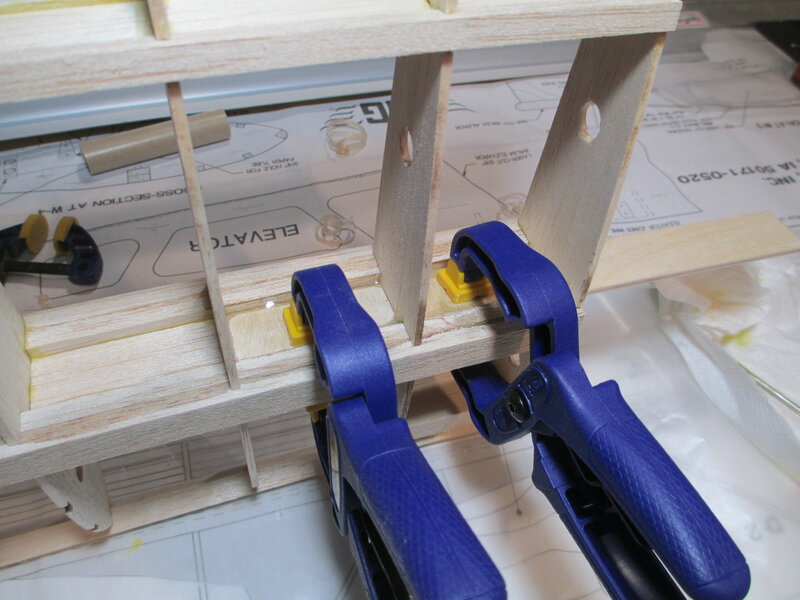 When drilling the 1/8" hinge holes in the aileron, it's to your benefit not to bevel the LE of the aileron. 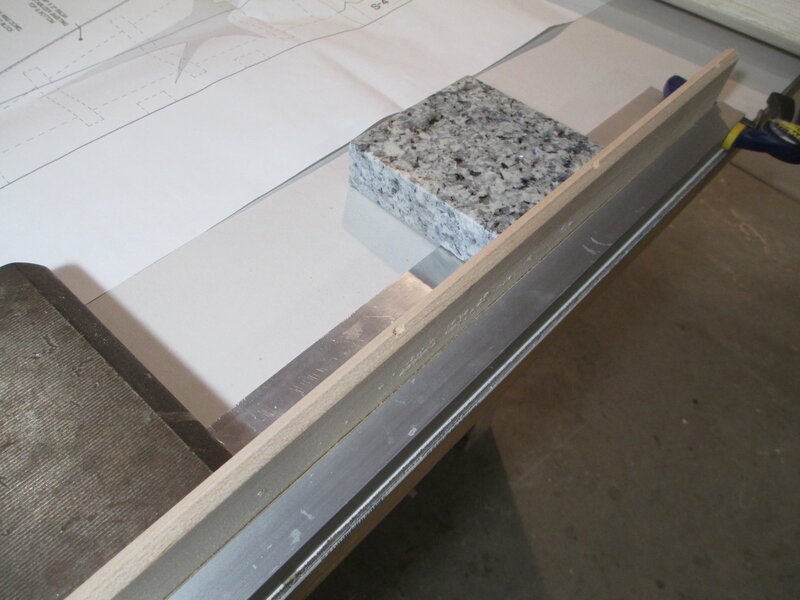 Leave it square, and get the drilling done first. 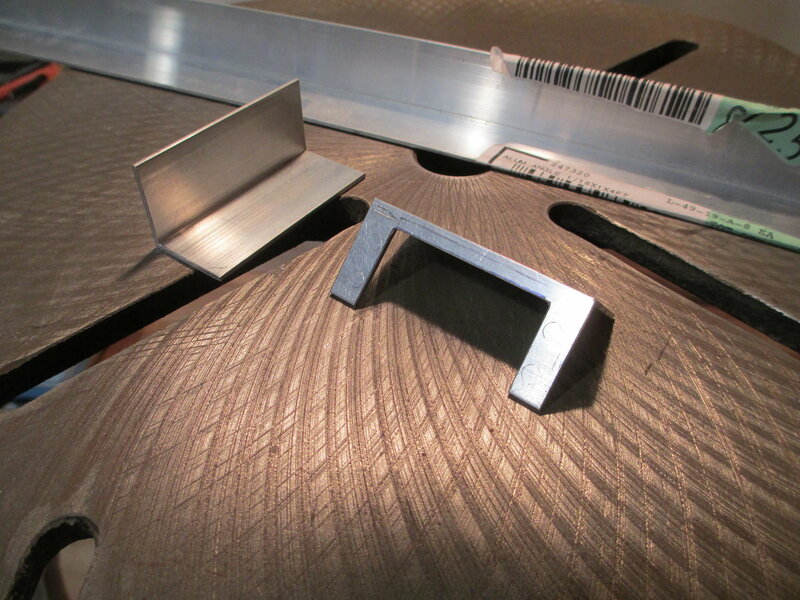 The jig will make better contact with a top flat increasing your chances for a perfectly placed hole. 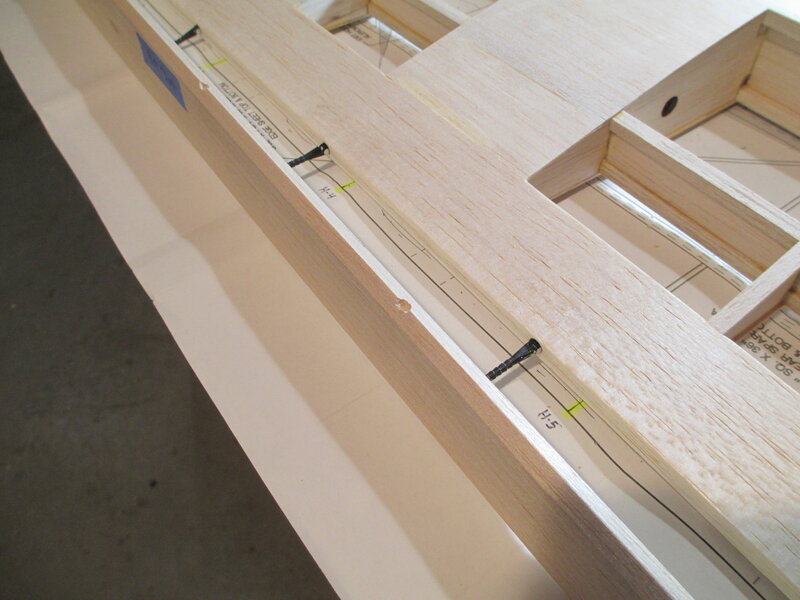 Using the drill jig on flat stock is very easy compared to the tapered TE of the wing. 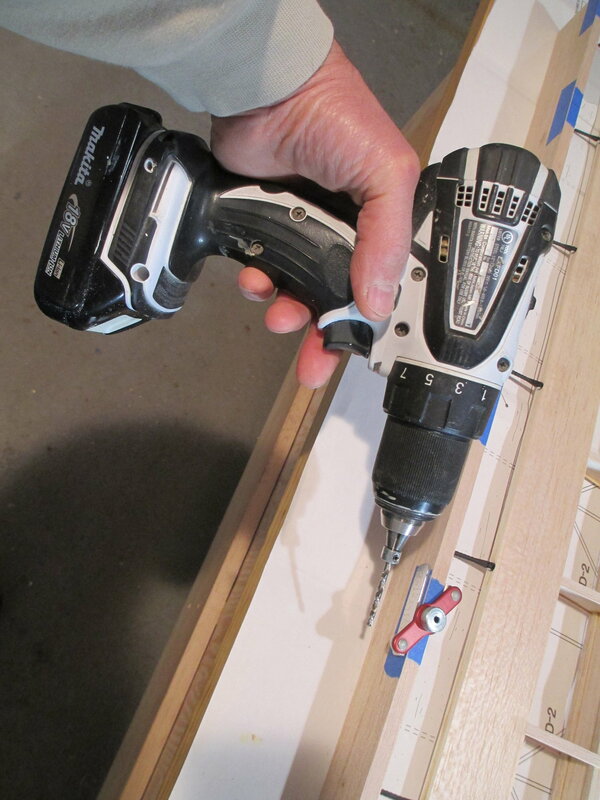 This is the cordless drill that I use. The smaller and lighter the drill, the better control you'll have. You definitely don't want to be using an electric drill here as the cord will get in your way! 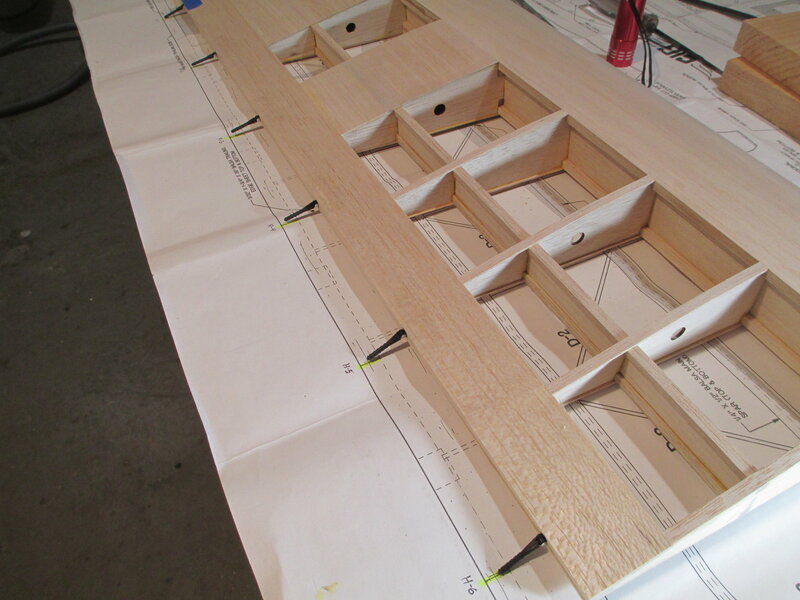 Once drilled, the 2nd step of fitting the hinge into the aileron side is performed as done on the TE of the wing. 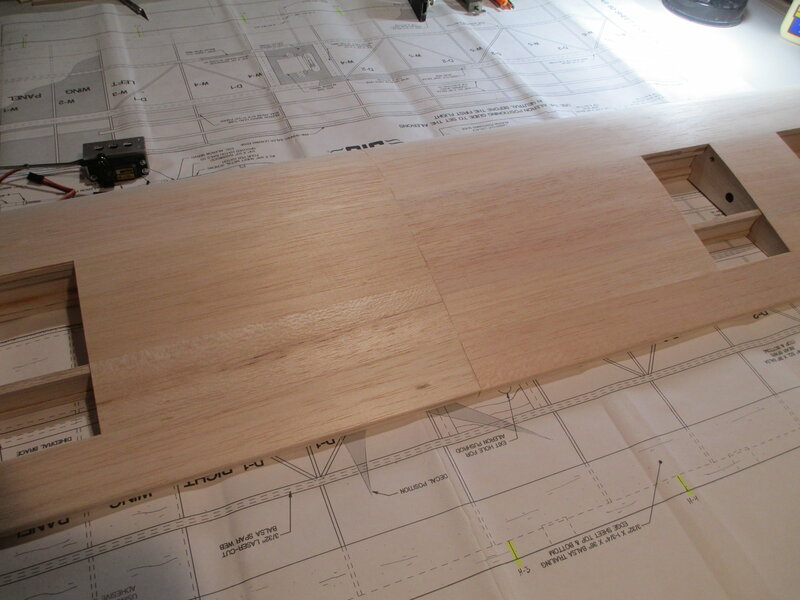 (Step #3 will be done after the bevel is made.) 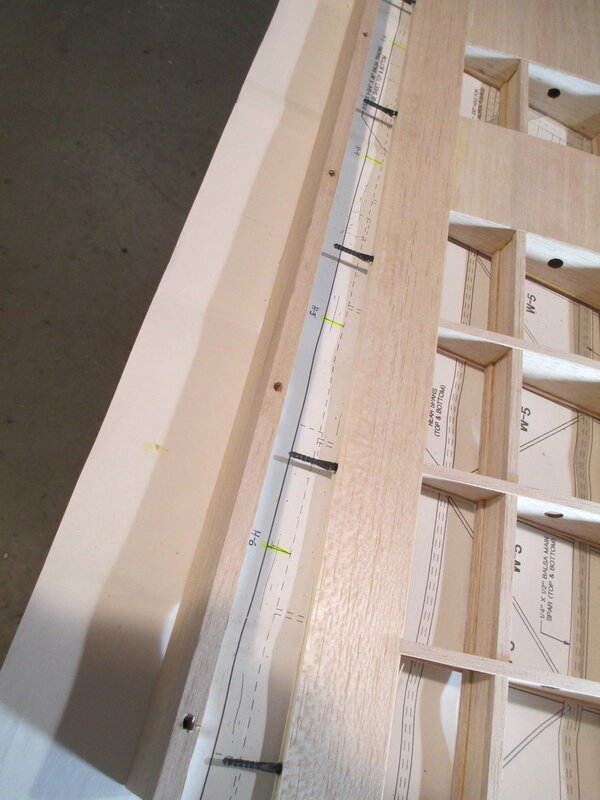 If you measured everything precisely there should be no surprises with the fitment. Once pressed together they should mate together seamlessly. 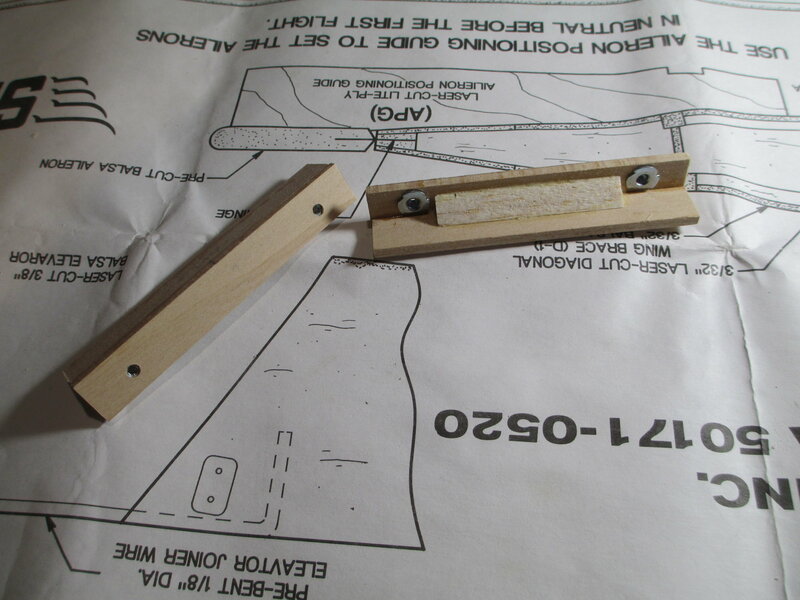 With the aileron now locked in place with the wing I can now trim off the excess aileron stock. Last edited by VincentJ; 03-25-2019 at 04:50 AM. 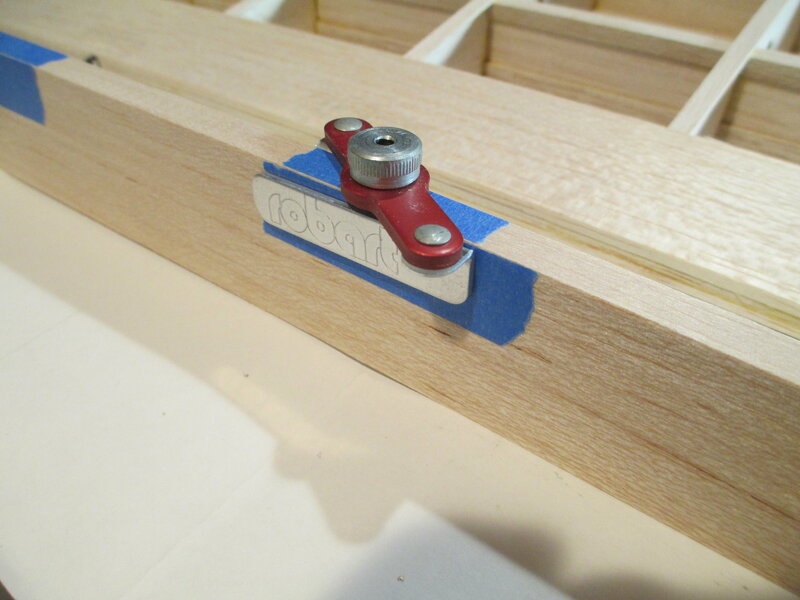 This is the 3rd, and final tutorial on installing Robart hinges. Sorry for being so long winded, but I hope that you find this information helpful. 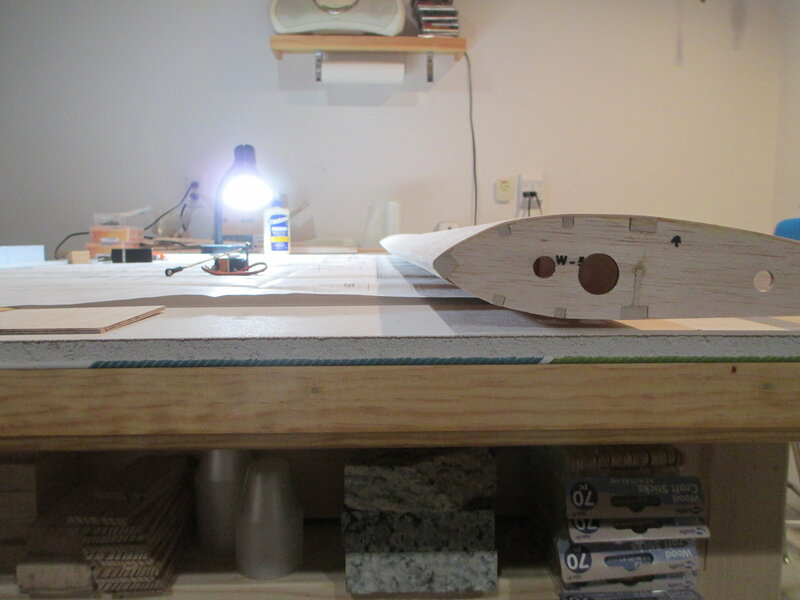 After completing steps 1 & 2 (but not #3) on the aileron, now is the time to create the 45 degree beveled edge. 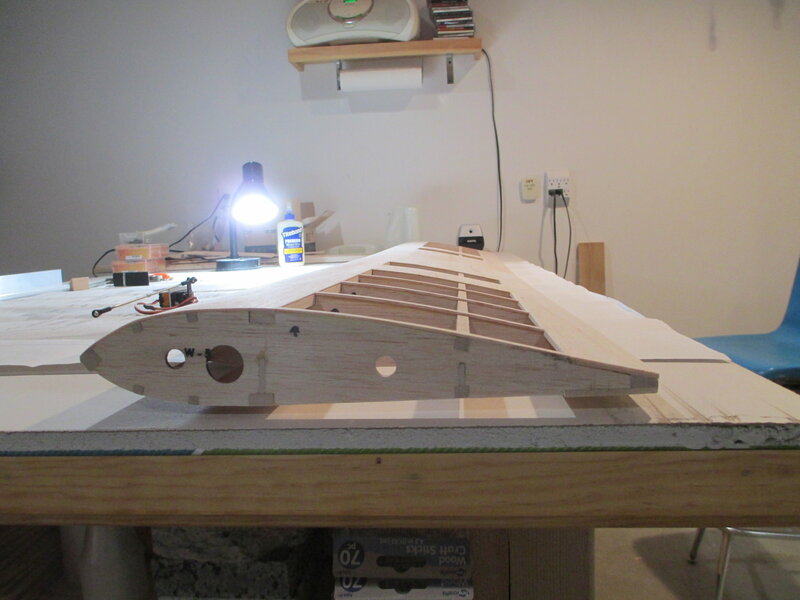 Here I have the aileron clamped into place. 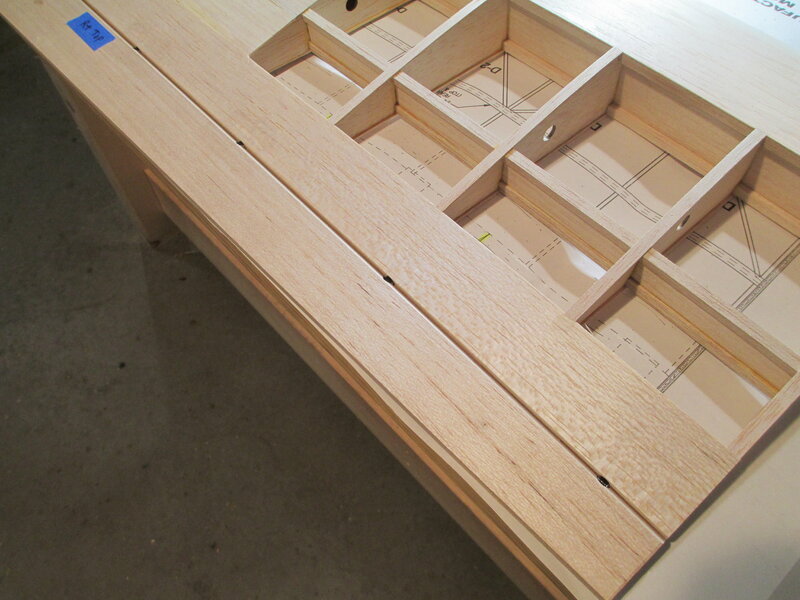 With the bevel completed it's time to perform step #3, creating clearance for the knuckle. 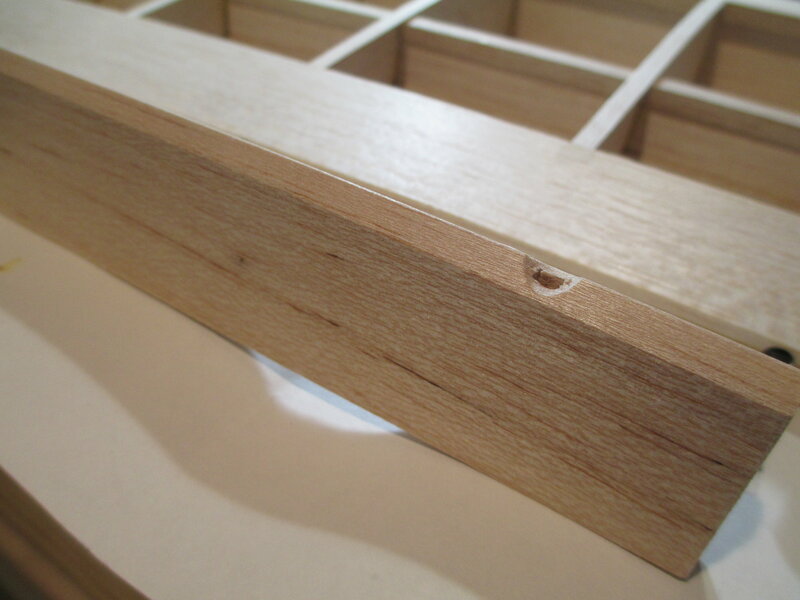 Note how the center of the bevel falls directly over each hinge hole. This is what I use. 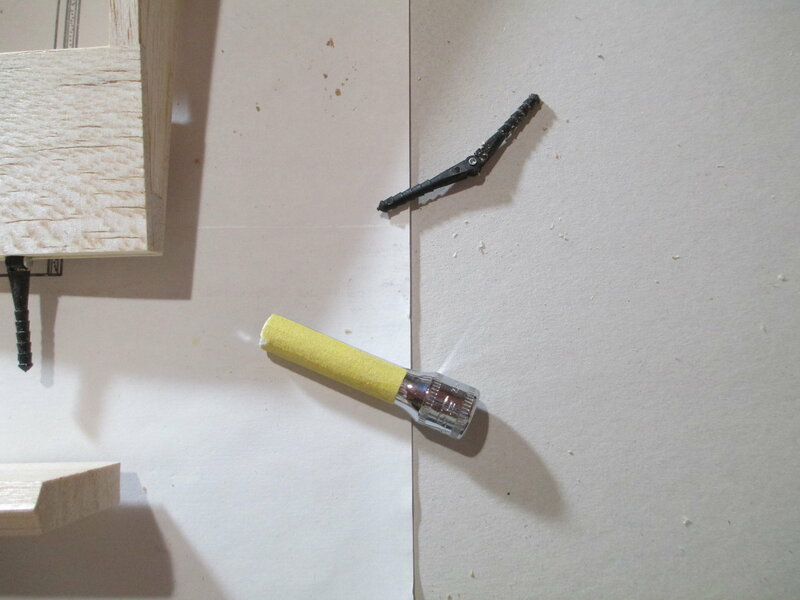 Simply stick a piece of 220 grit sandpaper on a deep socket. 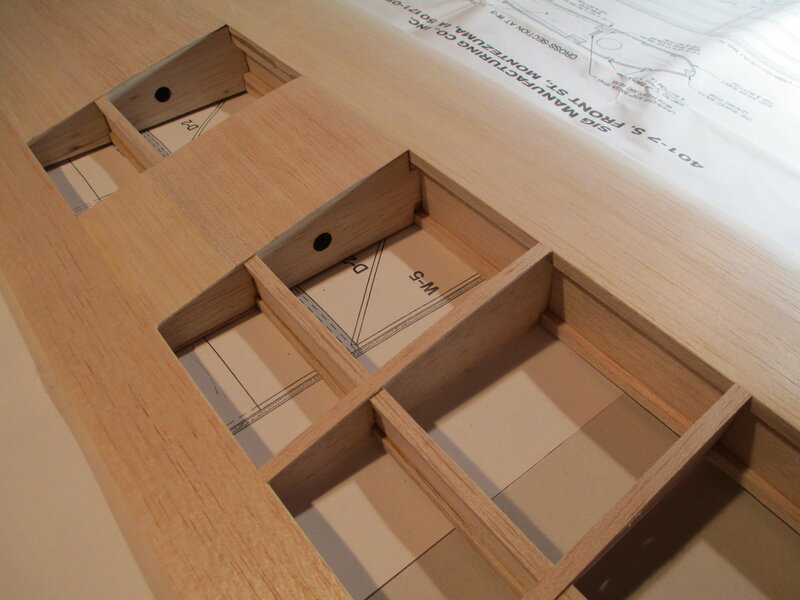 Position the socket directly over each hinge point hole and slowly sand the bevel to create the space for the knuckle. This is what it should look like. Sorry, this pic is out of sequence. 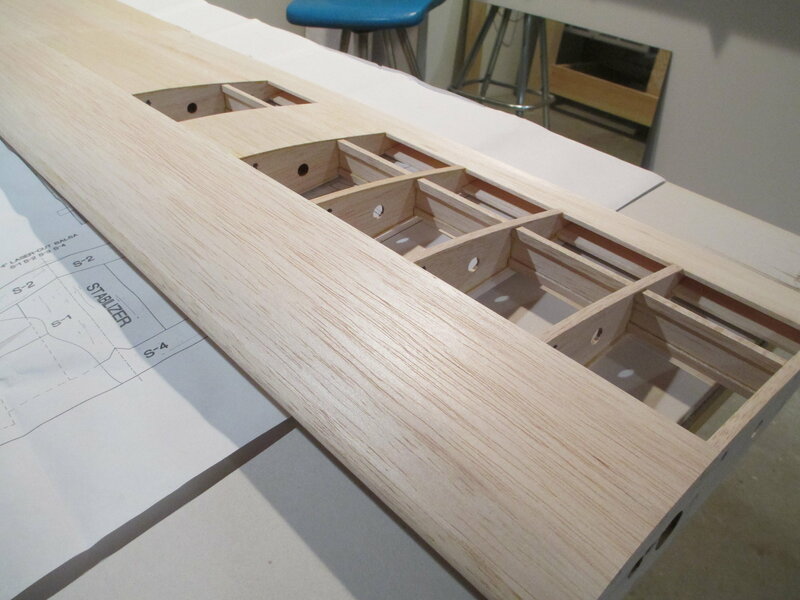 In this photo the hinge is installed in its hole after completing step #2, but before the 3rd step. Time to see if it fits. 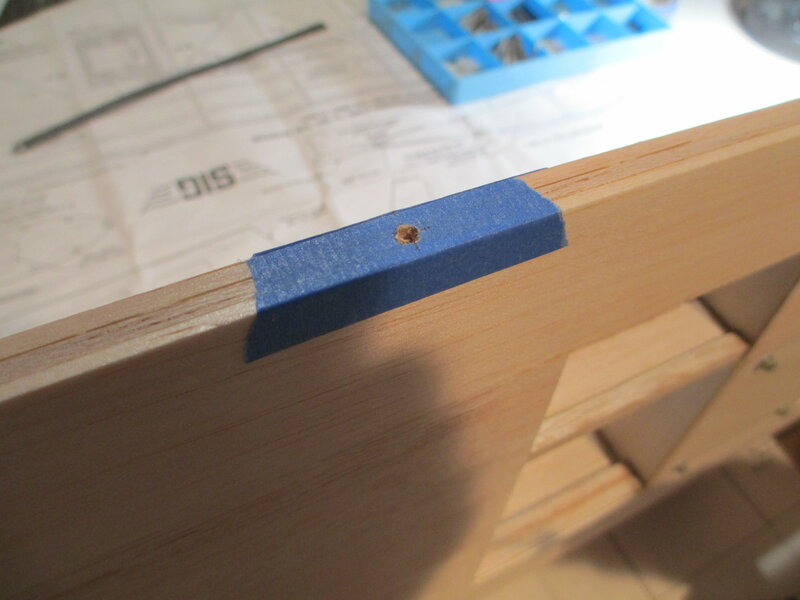 I barely have any hinge gap, that's a good thing. This is what it should look like completed. Now you can see the notch made with the socket. 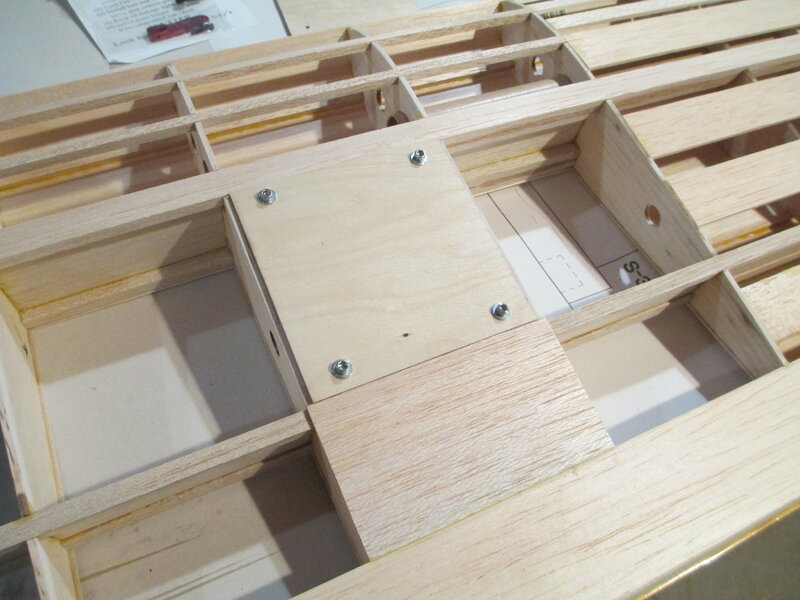 It's time to fit each aileron servo on their respective hatches. Last edited by VincentJ; 03-25-2019 at 02:51 AM. Looking good. Very clean build. You obviously know what you're doing. Thank you both pmcafee and Grant Ed. I'm happy to help. If you check back to the post/pic that shows the bevel detail on the aileron Tim, you'll notice that the aileron isn't tapered . It's TE is only rounded over. I thought also to taper it, but not sure. Tonight's task was to get the servos mounted. 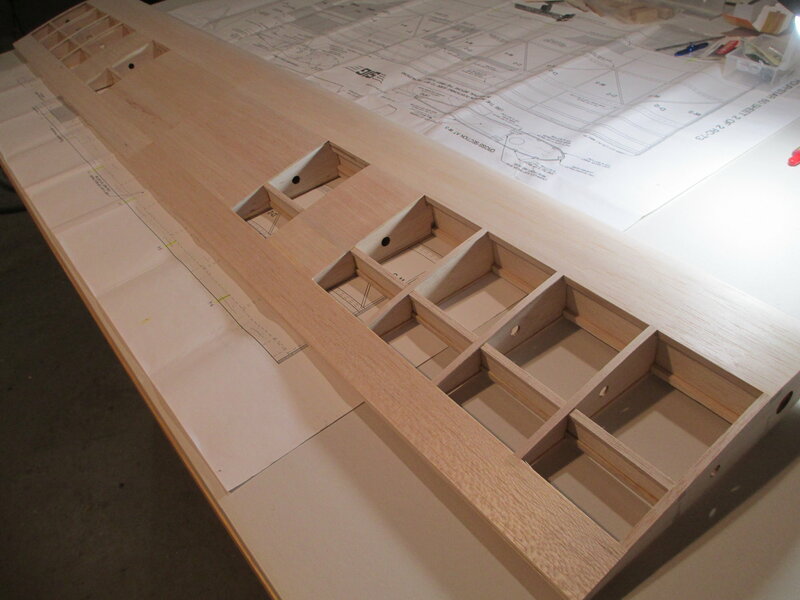 It's pretty clear now to see how all the pieces come together; the aluminum mount, the servo and hatch cover. I love it when a plan comes together! 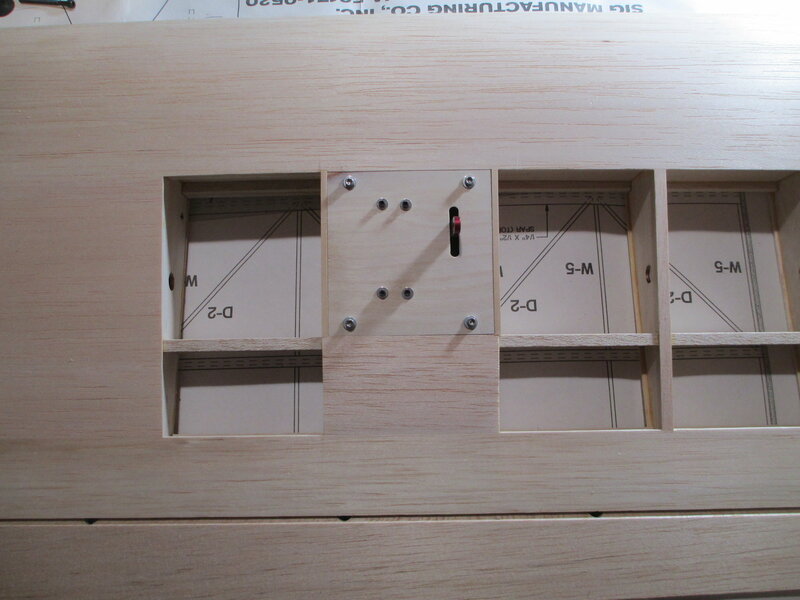 The slot that the servo arm slips through may have to be lengthened once they are operational, but for now it is good. 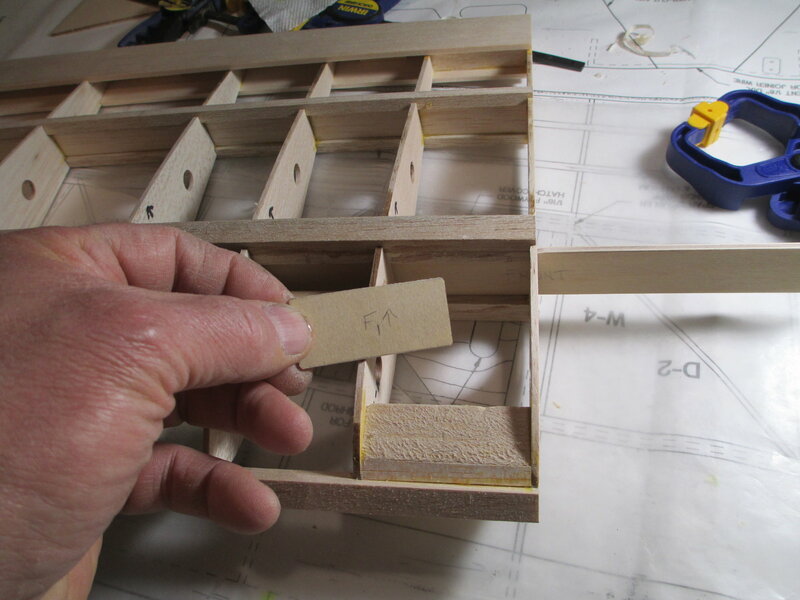 To some, it may look like a block (2'' x 3'' x 12") of balsa, but to me it looks like a wing tip!!! Last edited by VincentJ; 03-26-2019 at 02:53 AM.